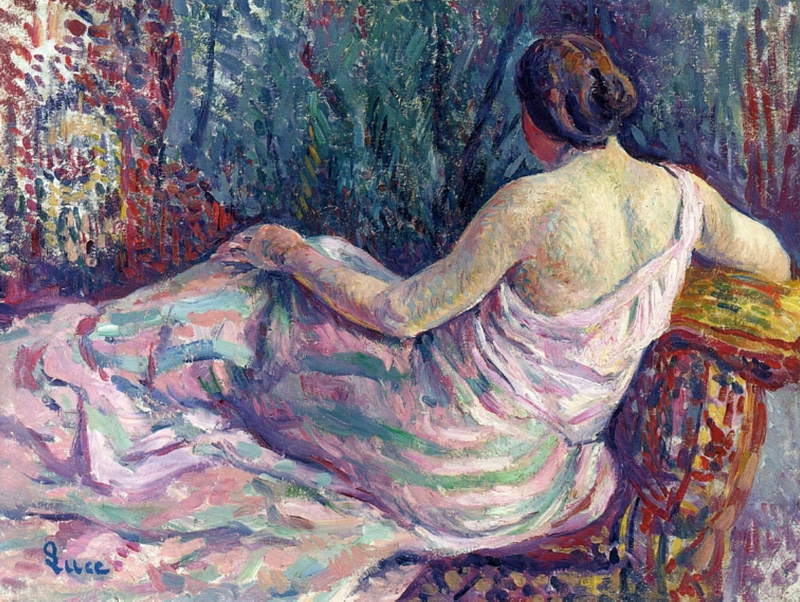 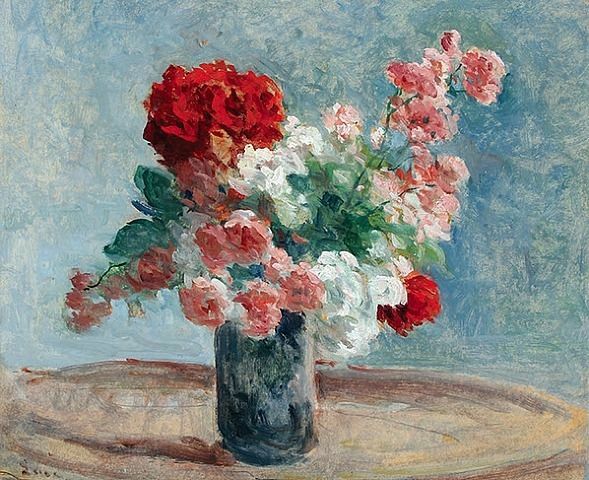 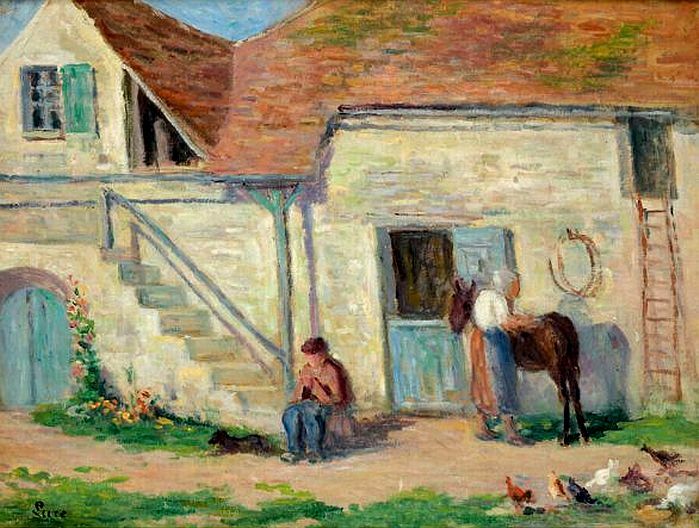 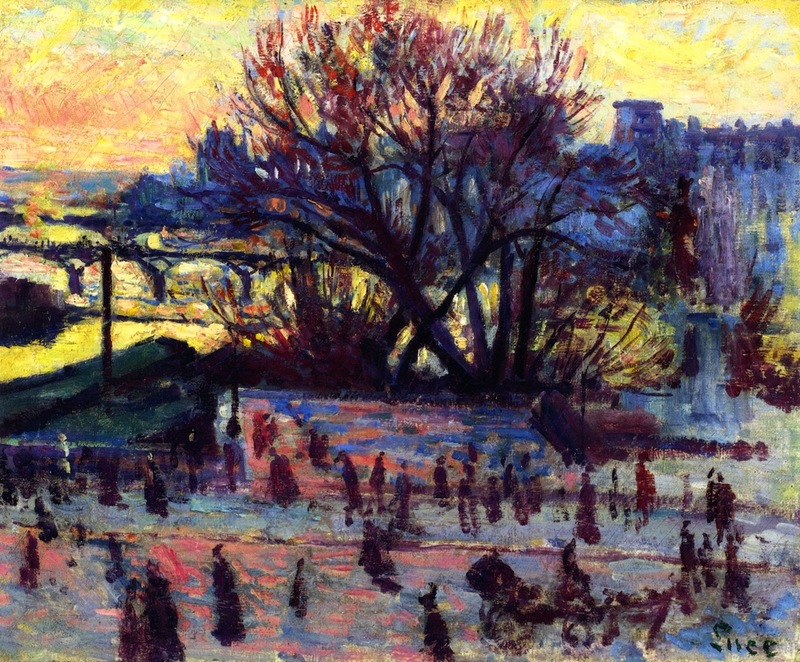 Maximilien Luce (1858-1941) was born in Paris to an artisan’s family. 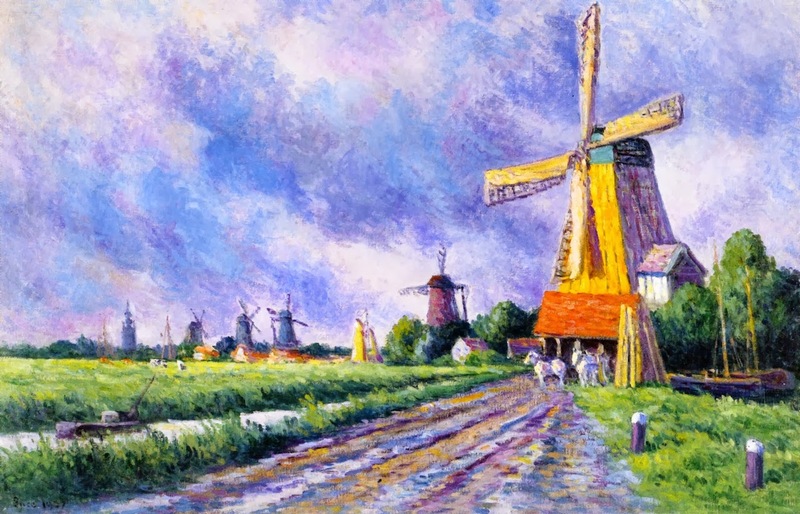 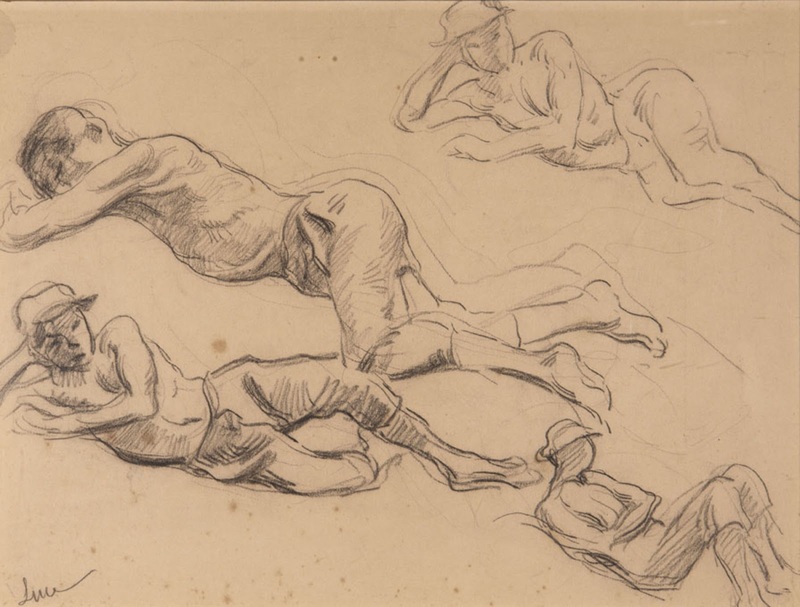 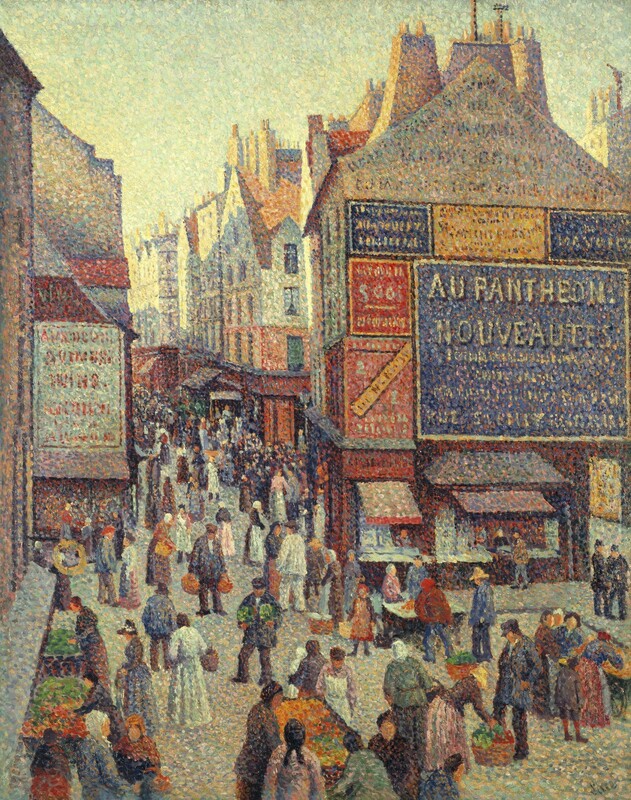 He worked as a printmaker in his early years then, around 1880, devoted his career to painting. 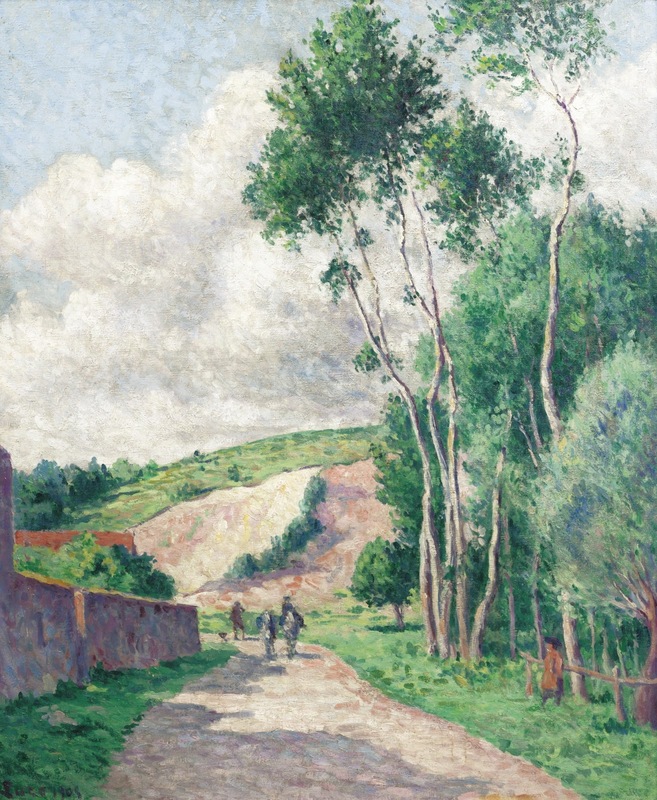 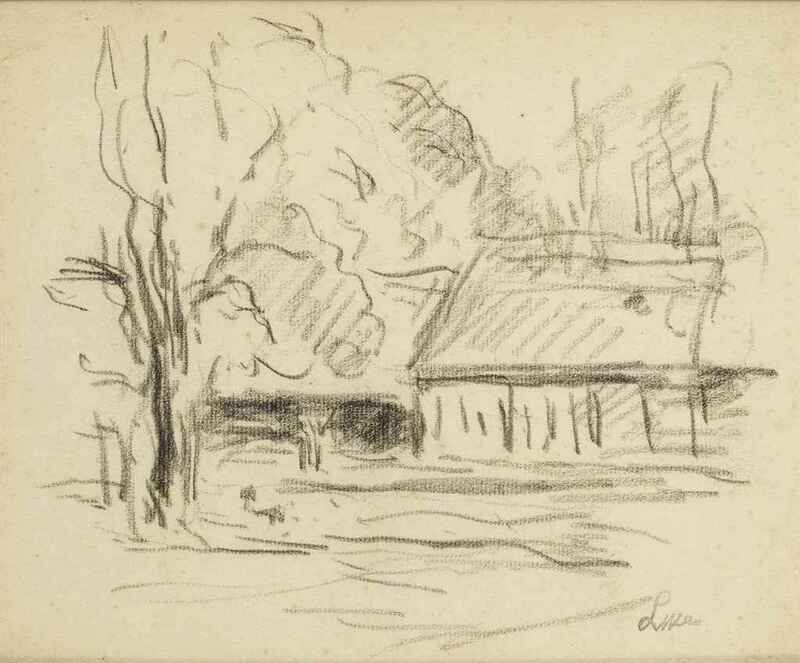 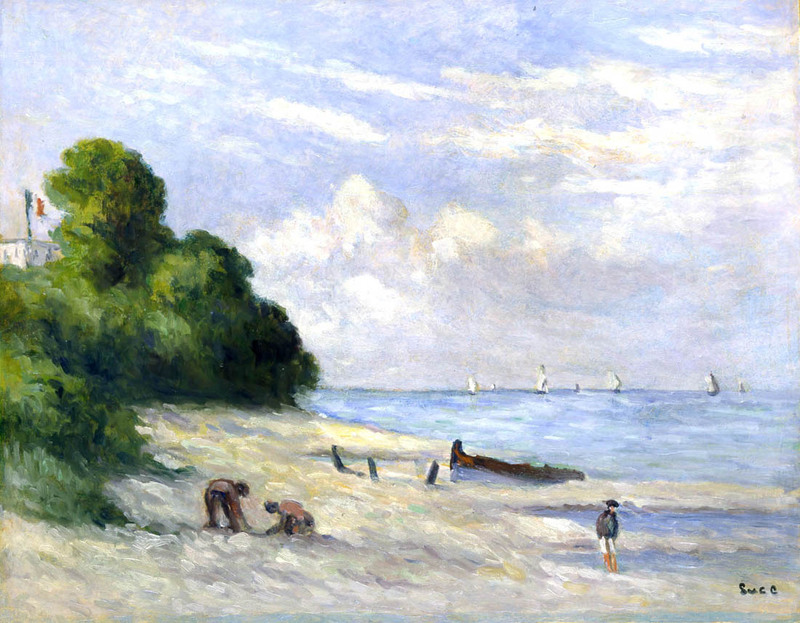 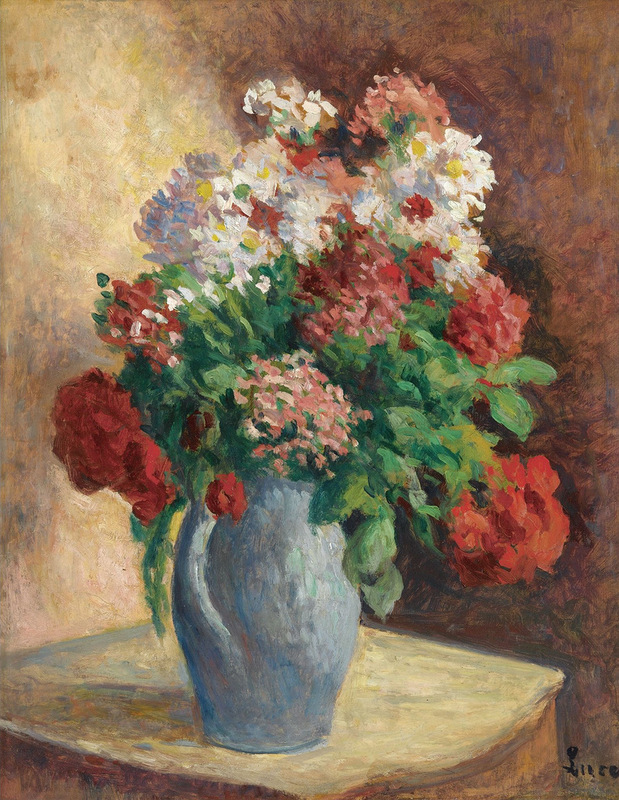 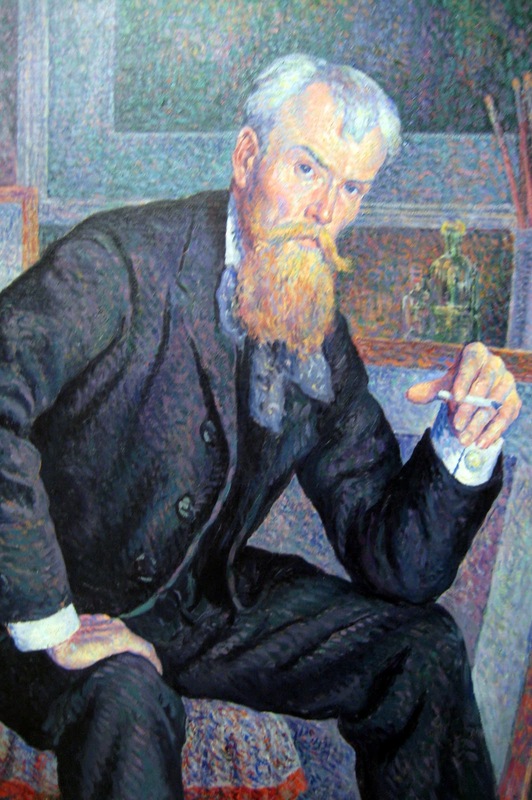 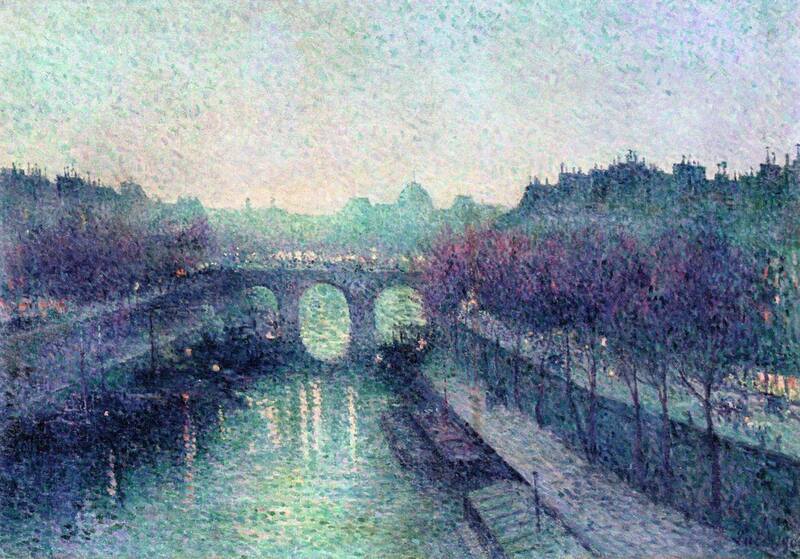 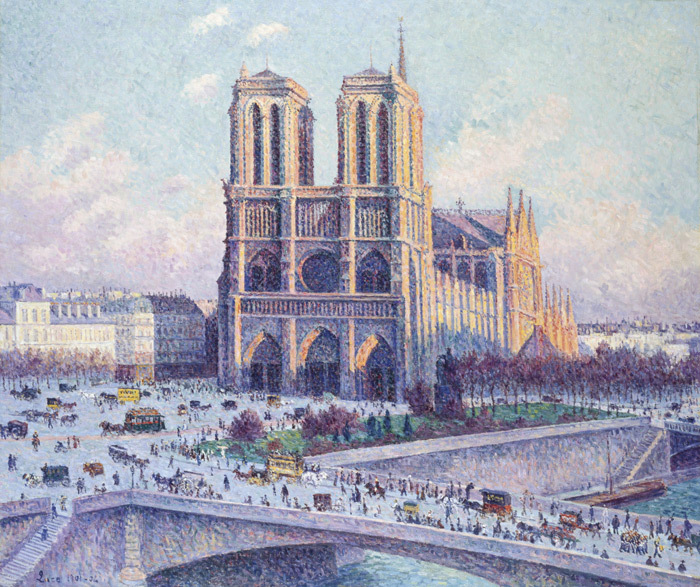 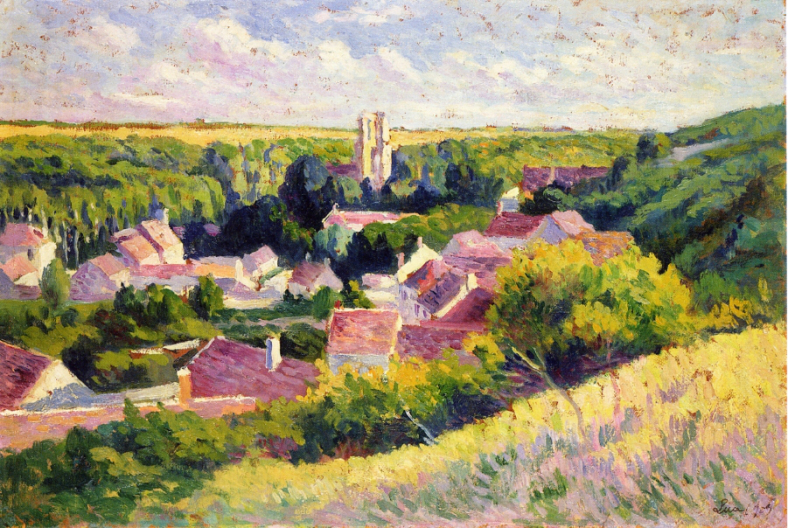 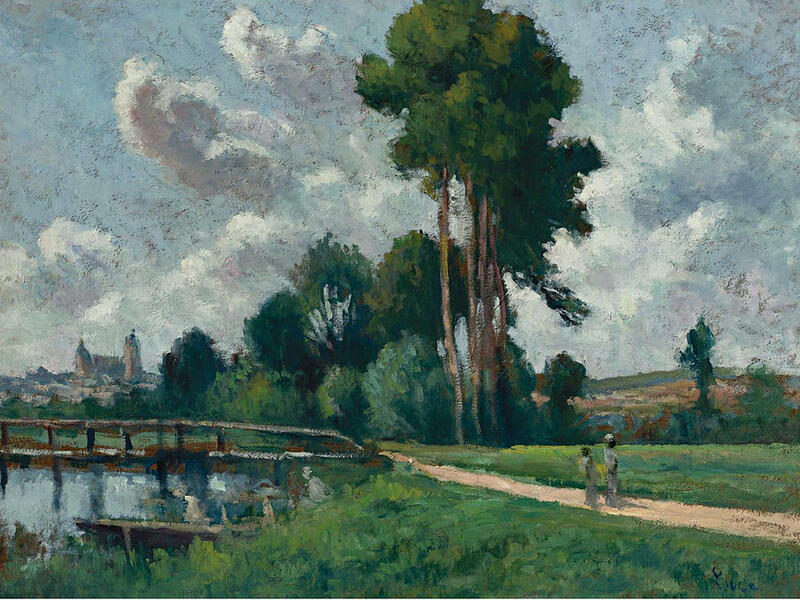 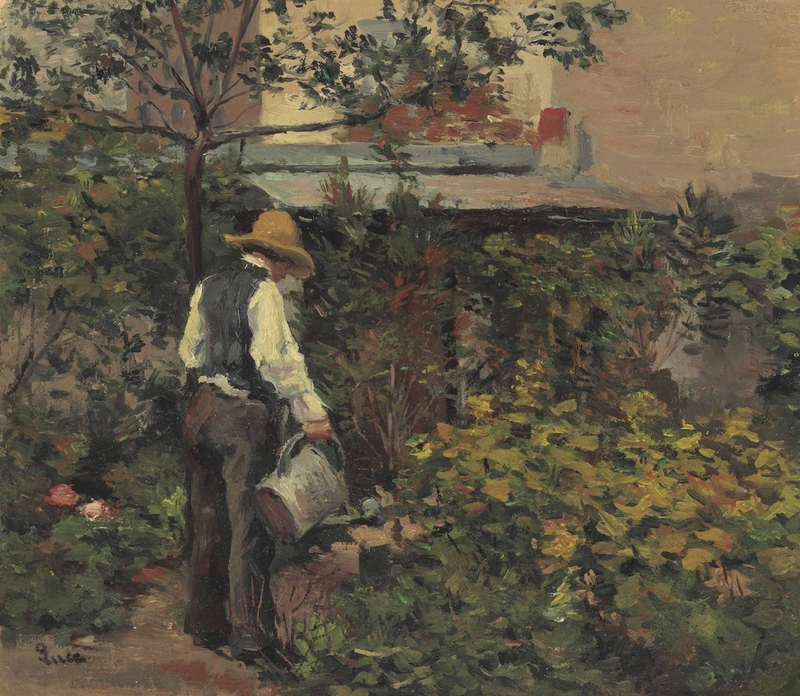 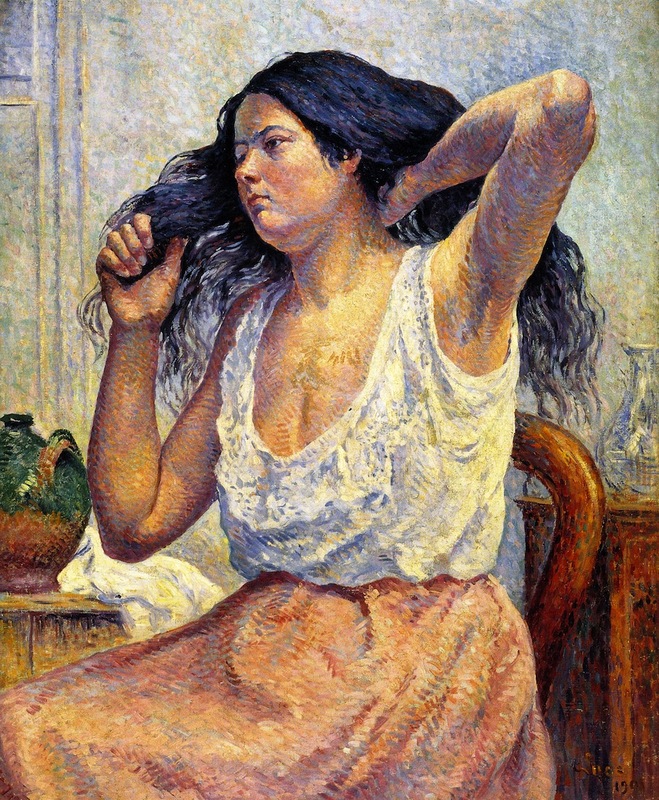 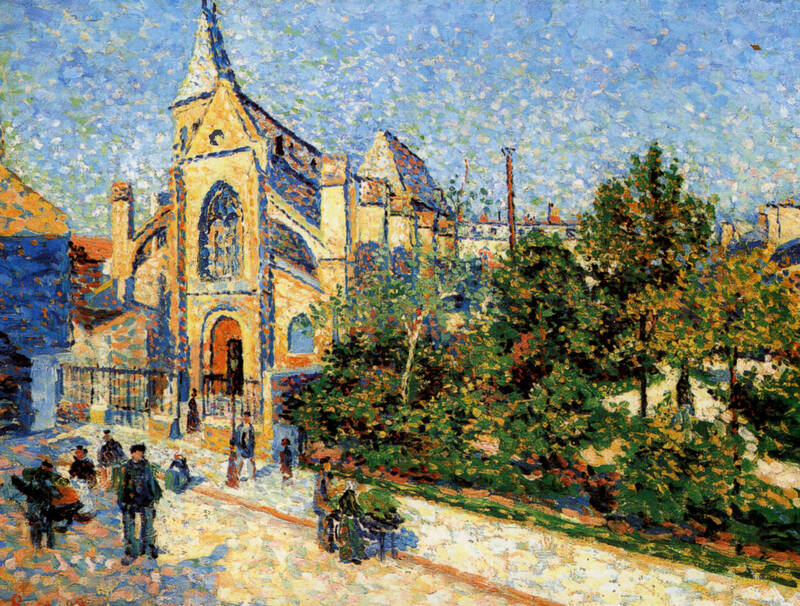 Camille Pissarro, who shared his anarchist convictions, introduced him to the Neo-Impressionist group in 1887. 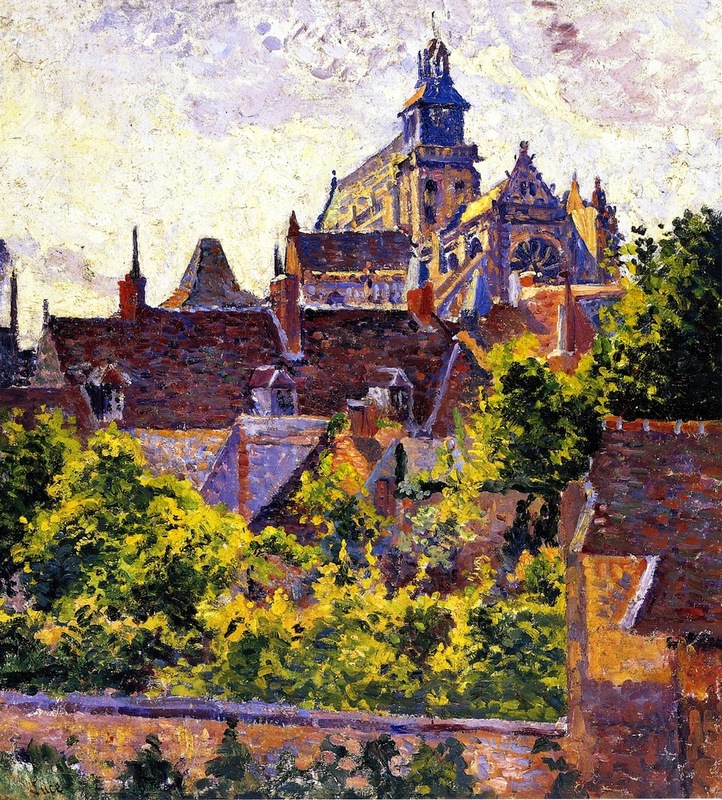 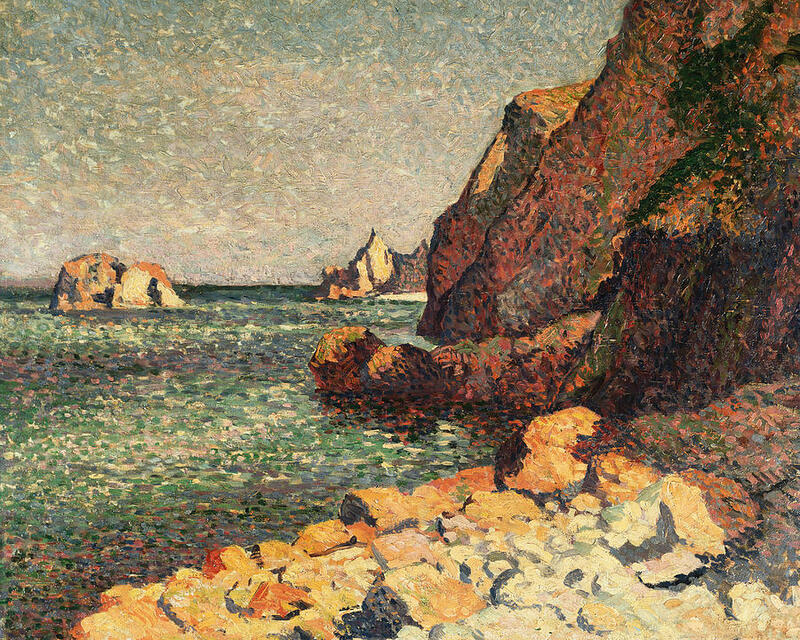 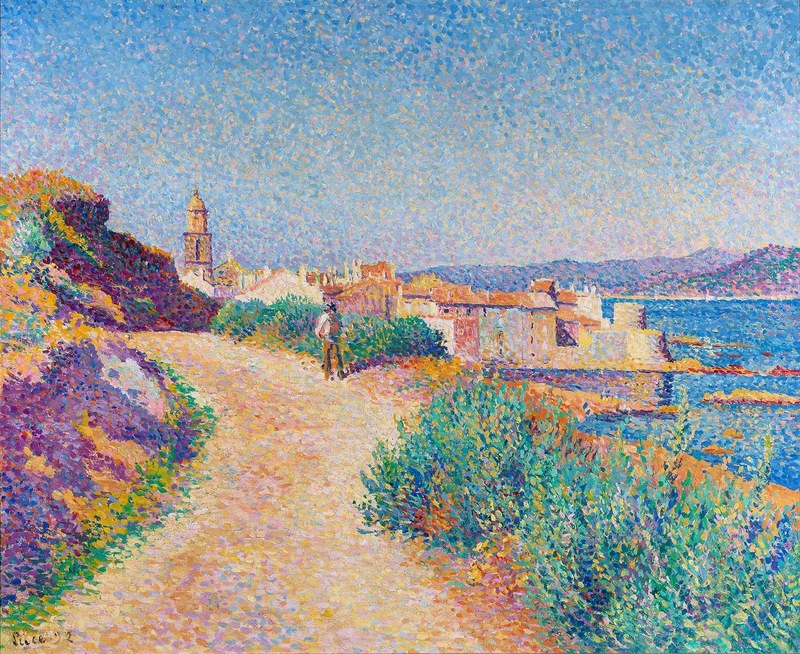 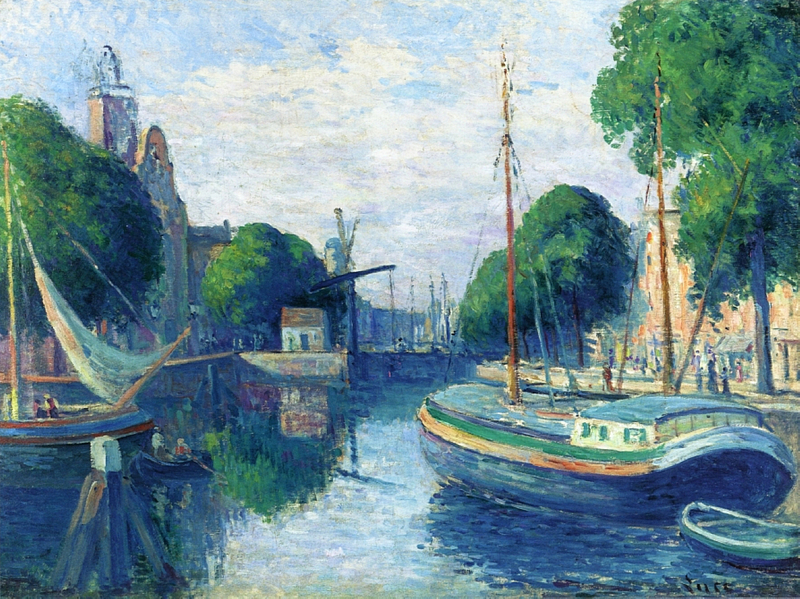 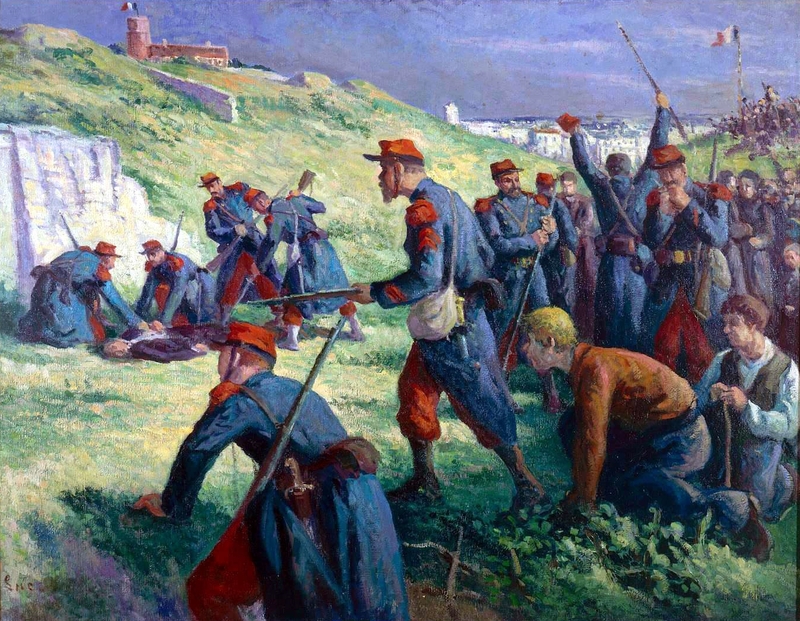 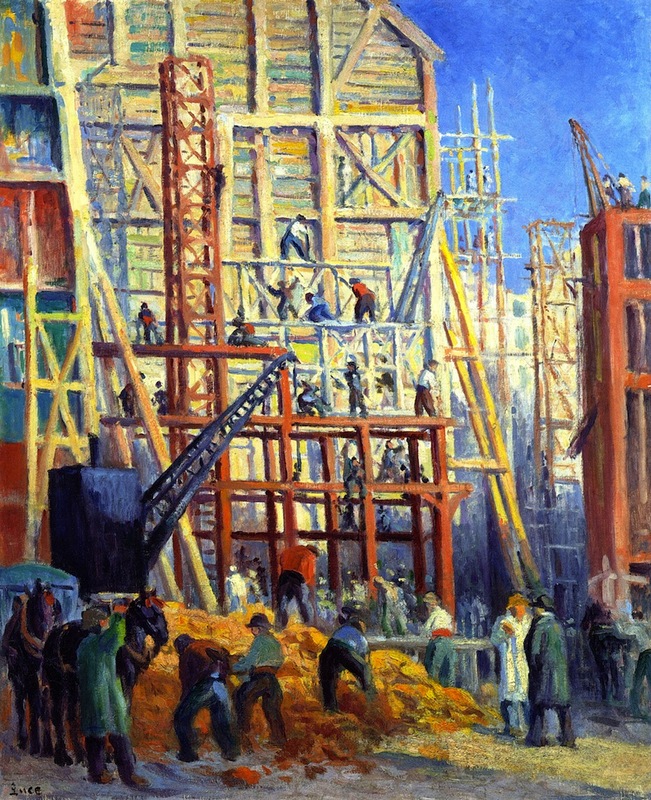 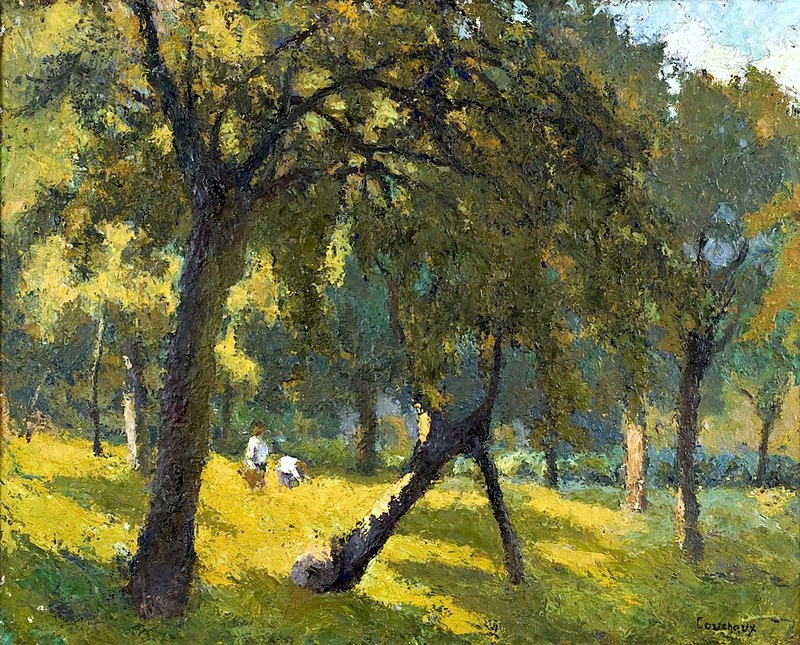 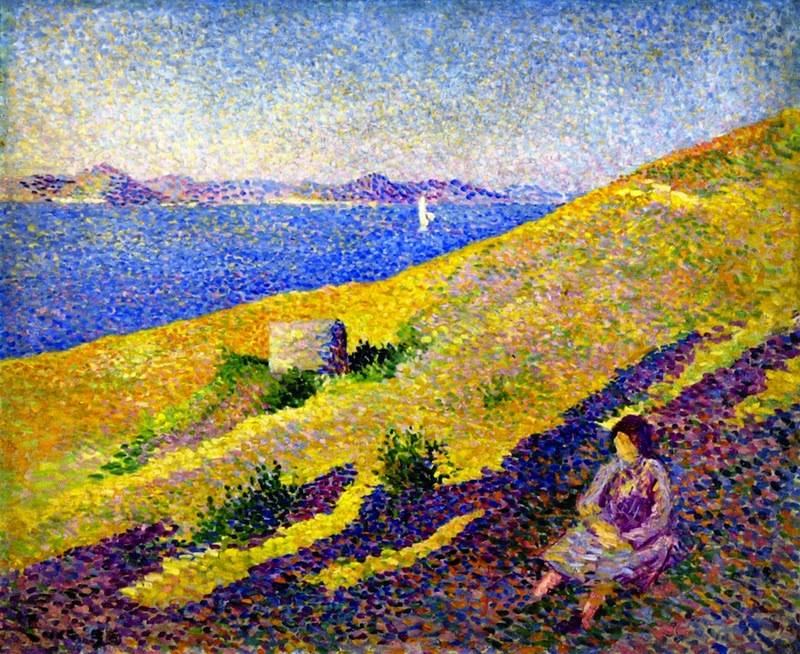 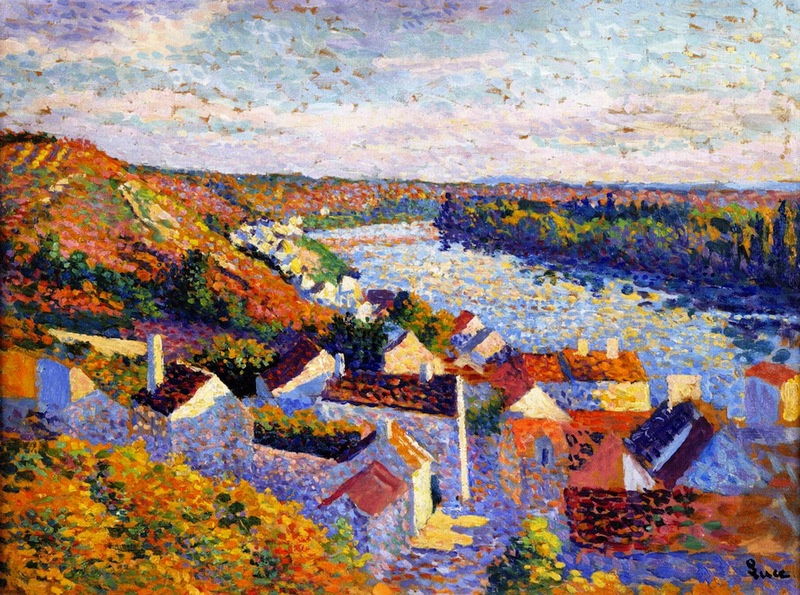 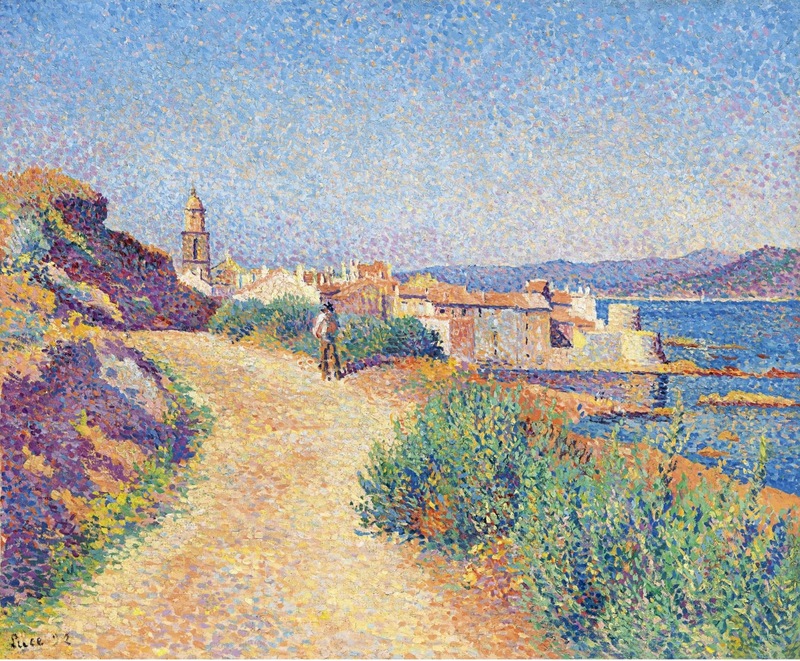 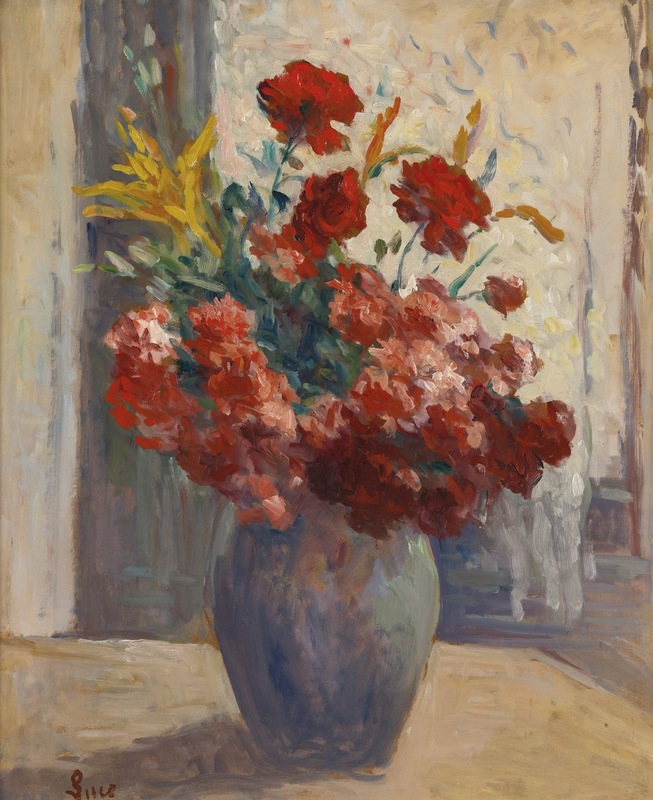 Luce adopted their technique of Divisionism – the separate application of individual colors. 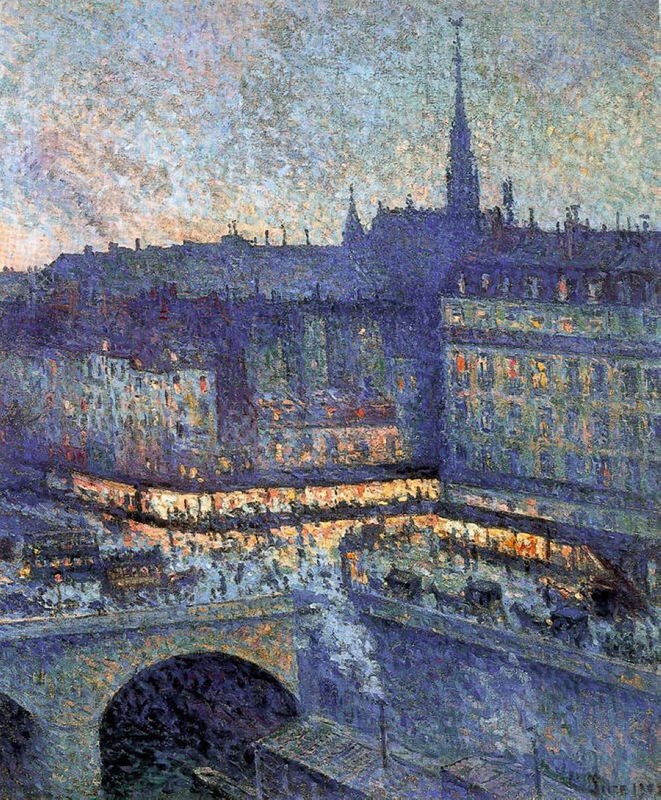 But, far from having the detached approach of Georges Seurat, Luce portrayed the contemporary world with passion. 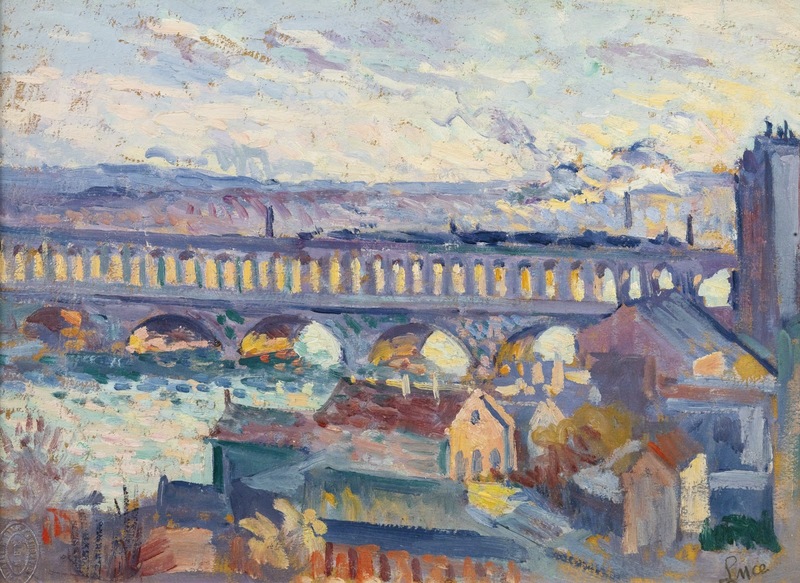 He liked to depict violent effects of light, from the sunset on the banks of the Seine River to the new effects of artificial, urban lighting. 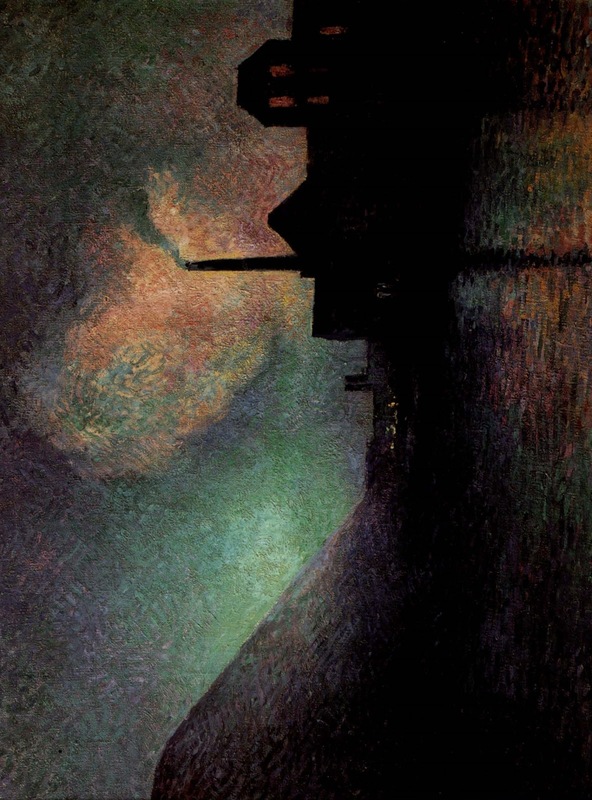 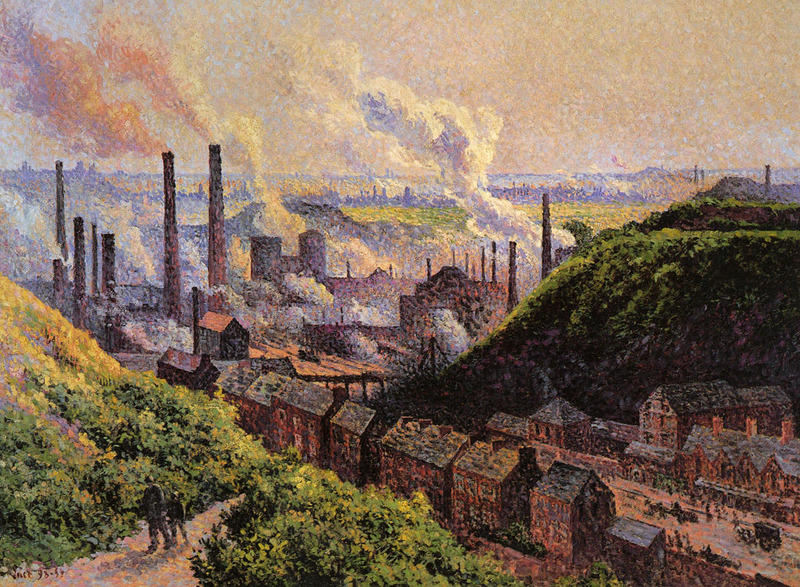 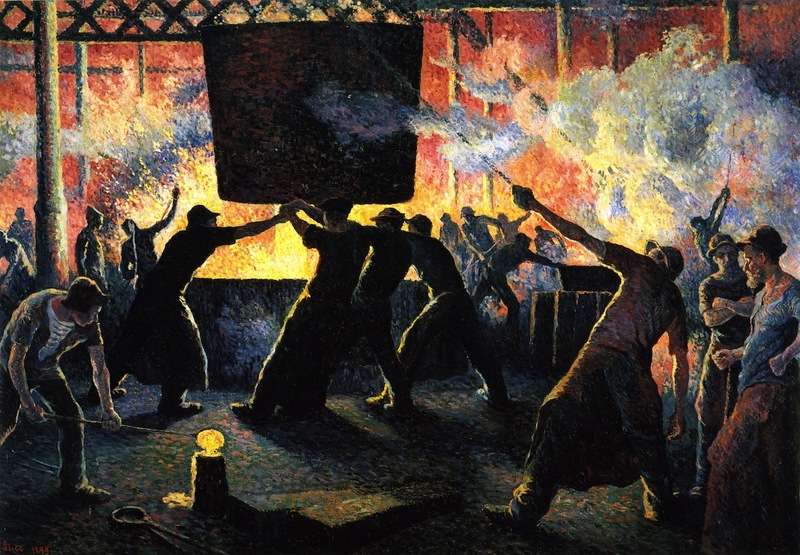 No less lyrical are the paintings of the Pays Noir where the flames of blast furnaces set the night ablaze. 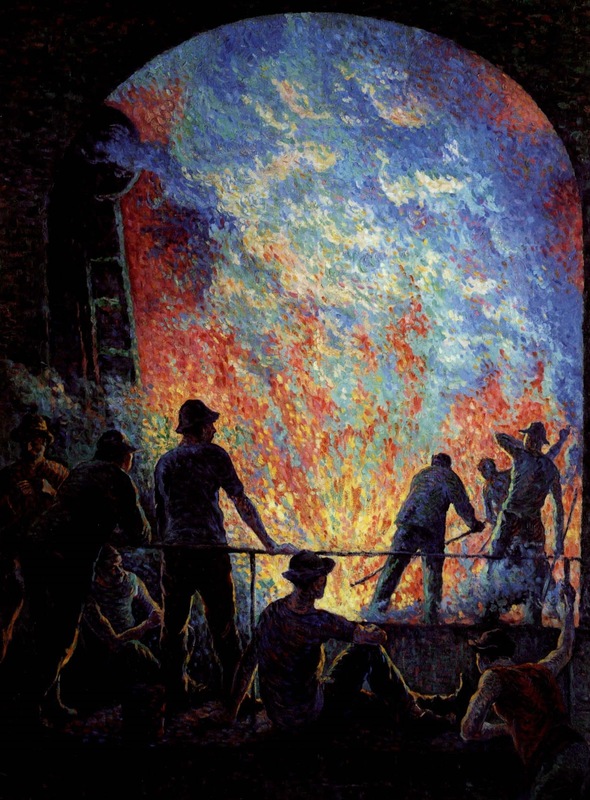 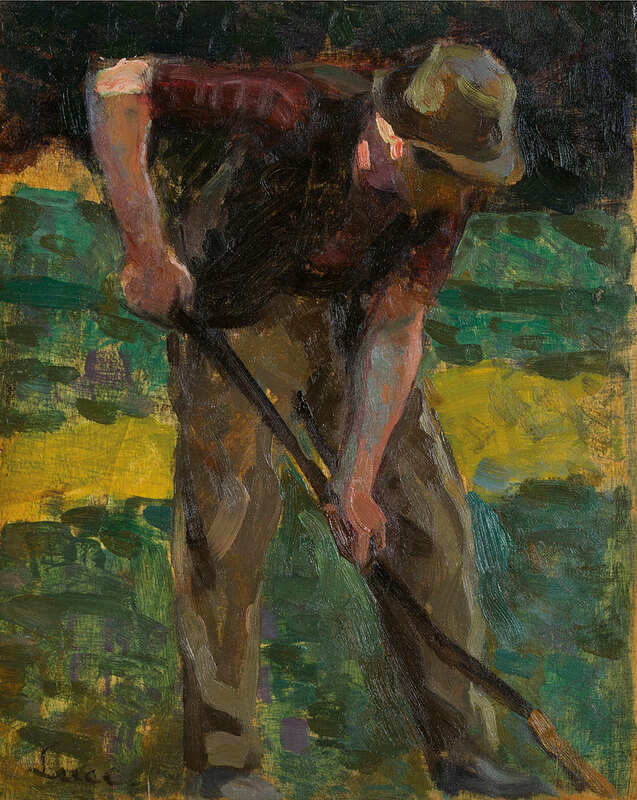 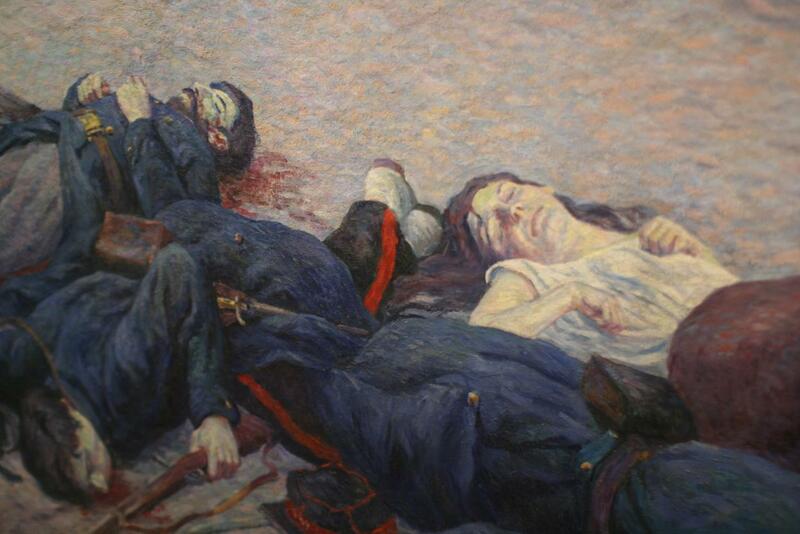 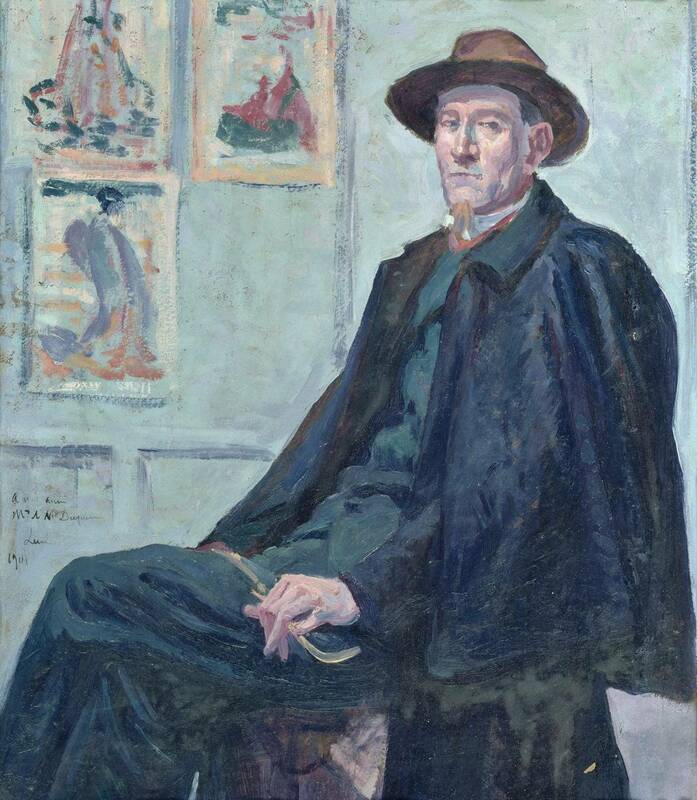 Luce’s works became powerfully colorful prefiguring Fauvism. 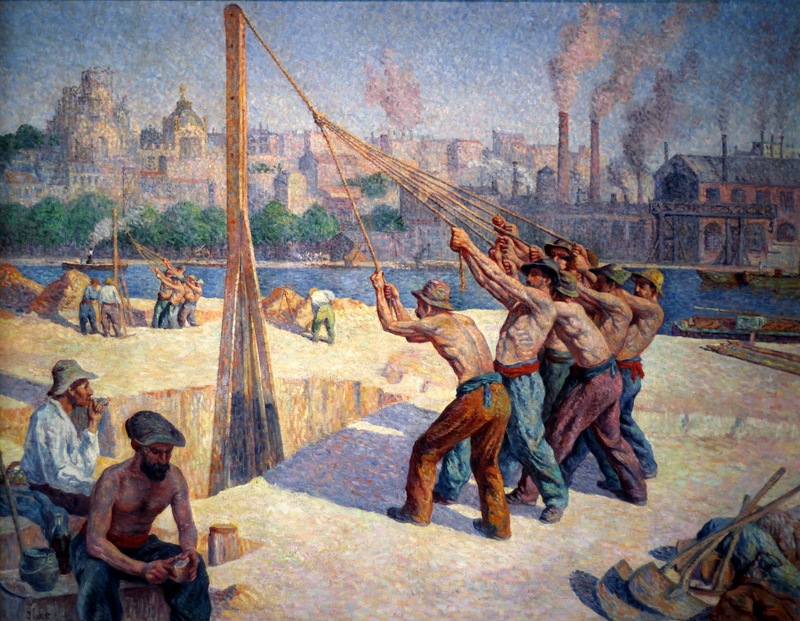 Fascinated by Haussmann’s works, he evoked the world of builders. 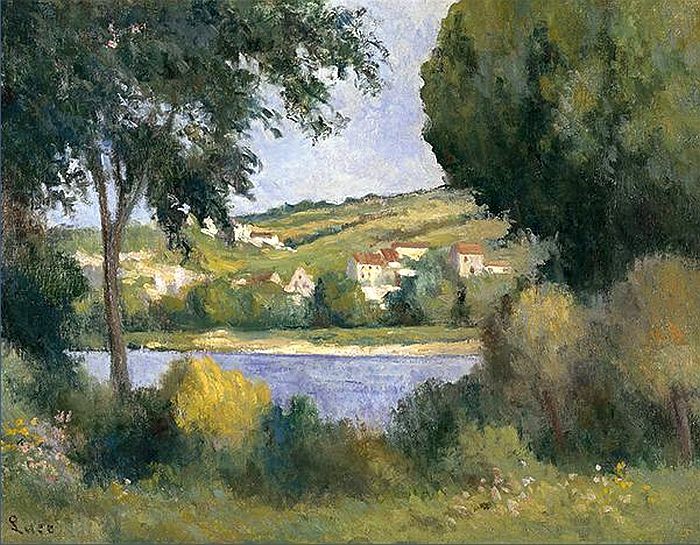 In his later years, living in Rolleboise in the Department of the Yvelines, Luce found peace and calm and returned to more tranquil subjects. 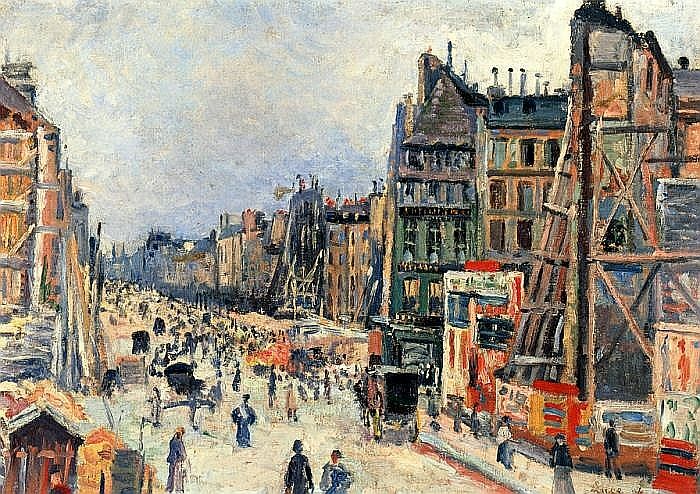 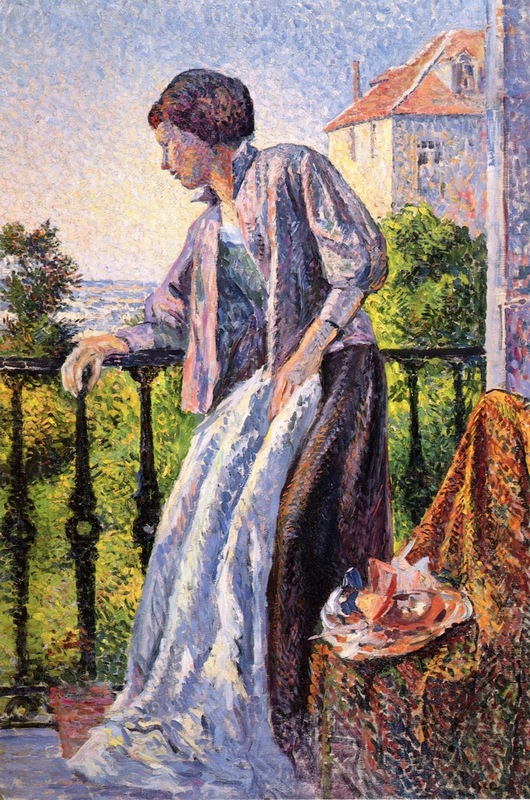 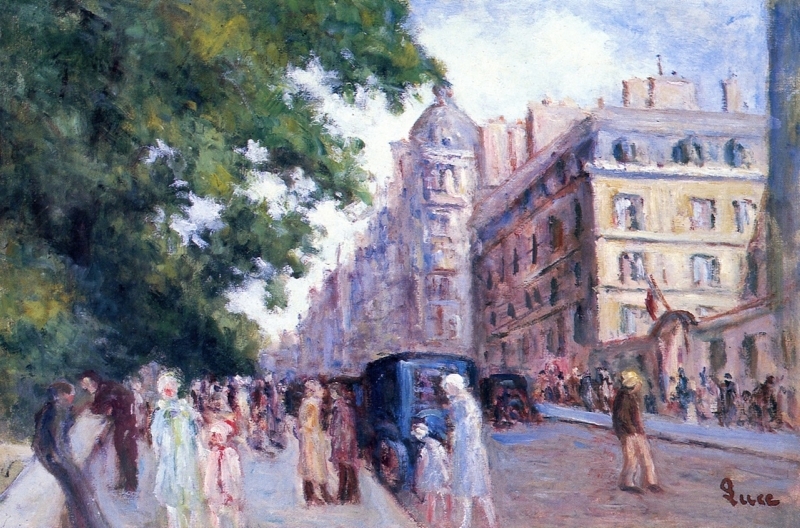 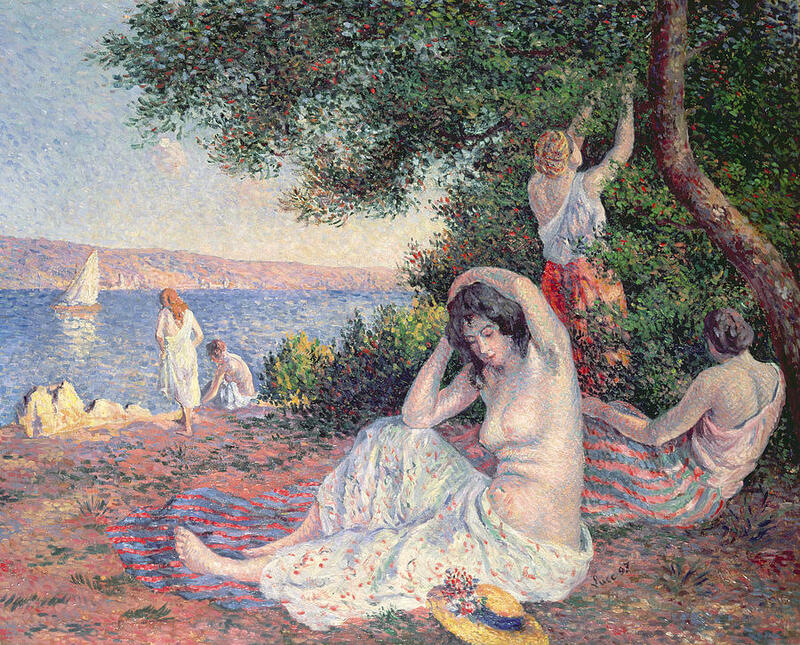 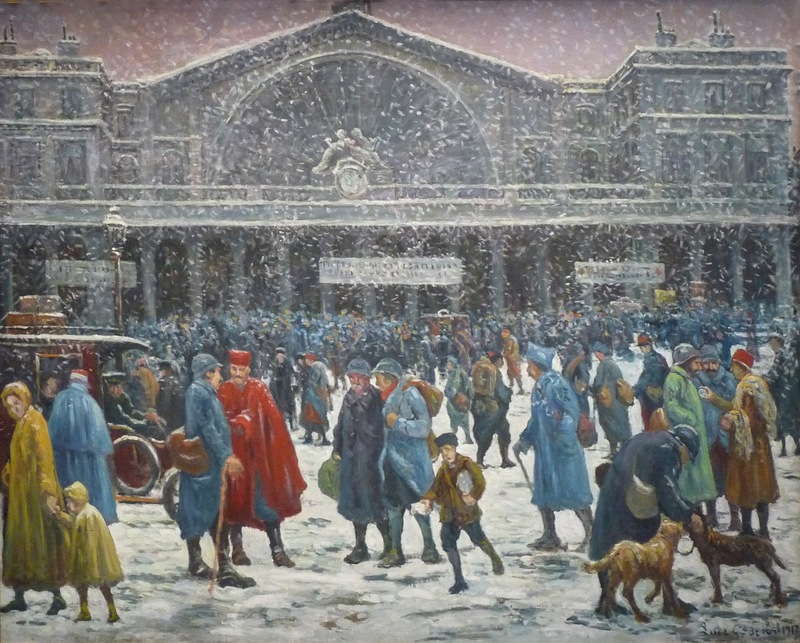 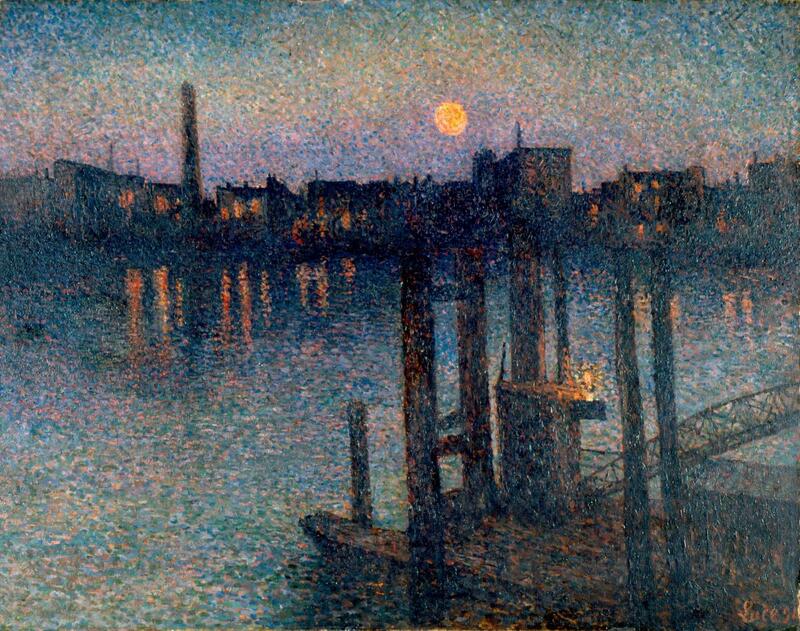 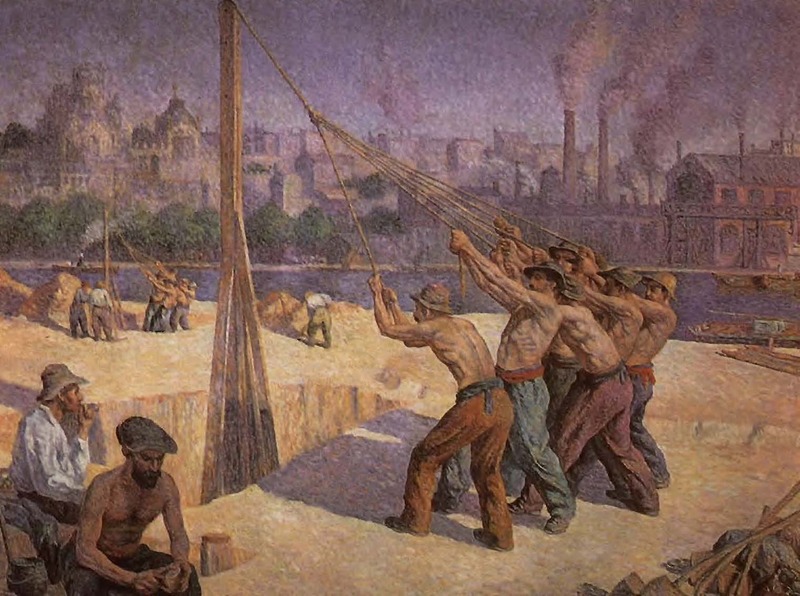 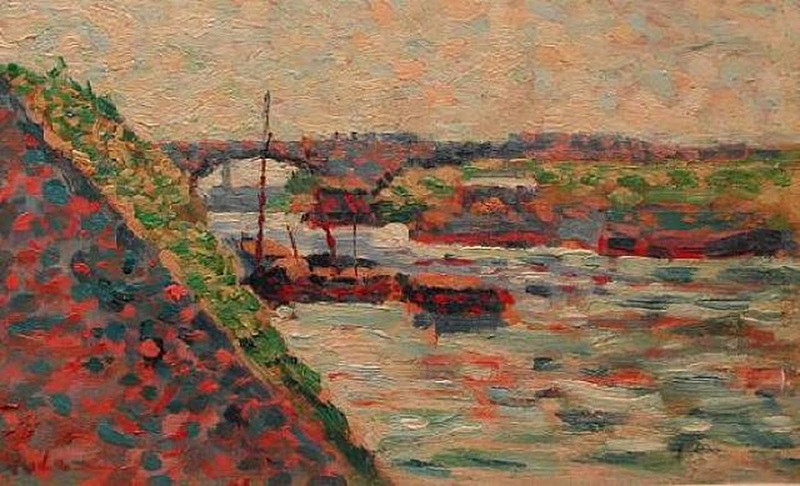 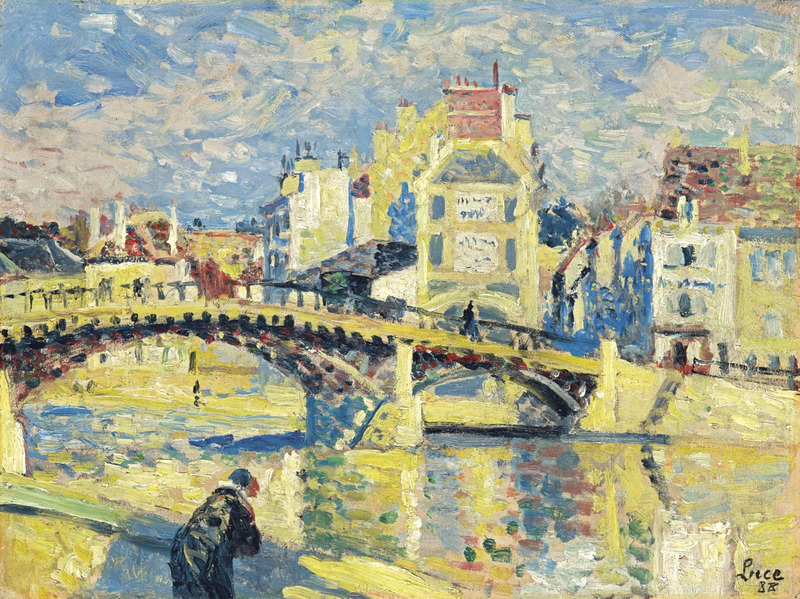 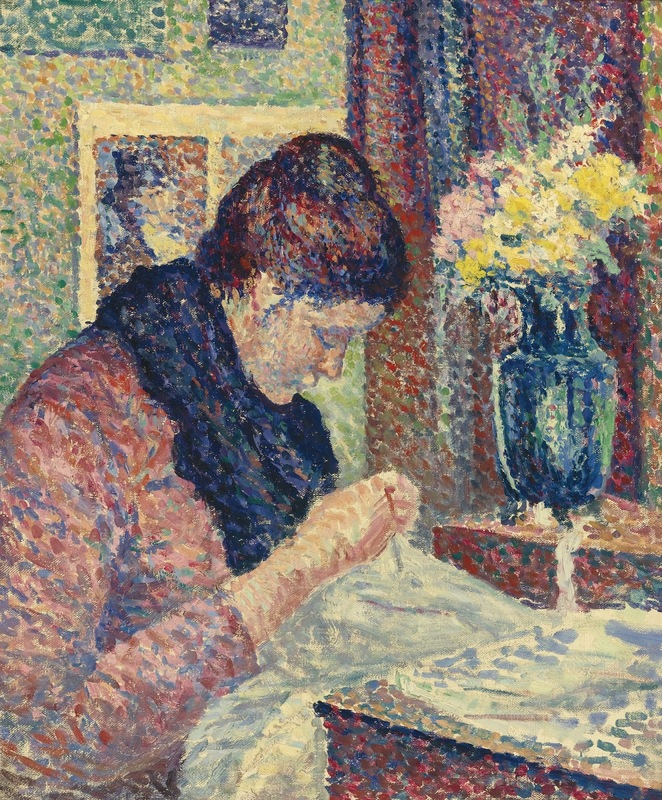 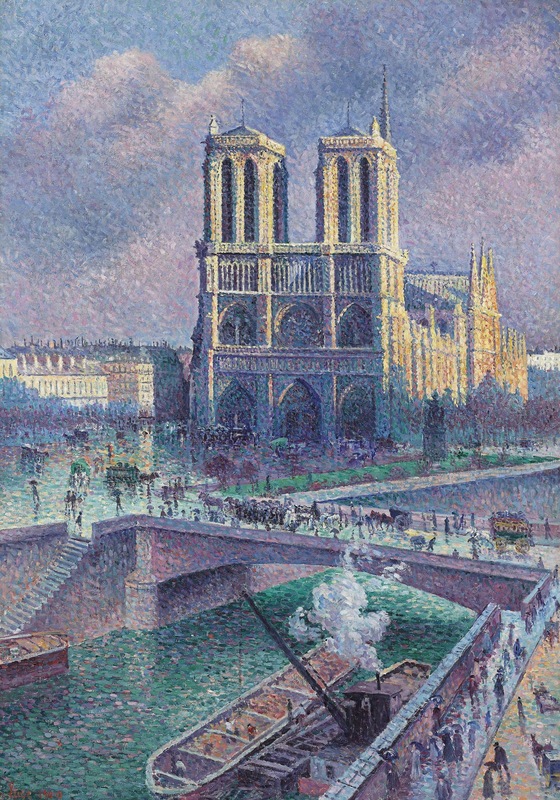 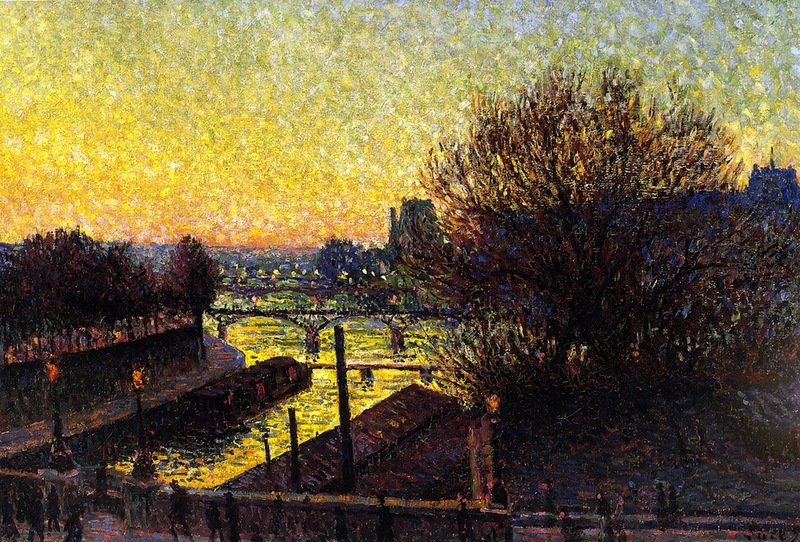 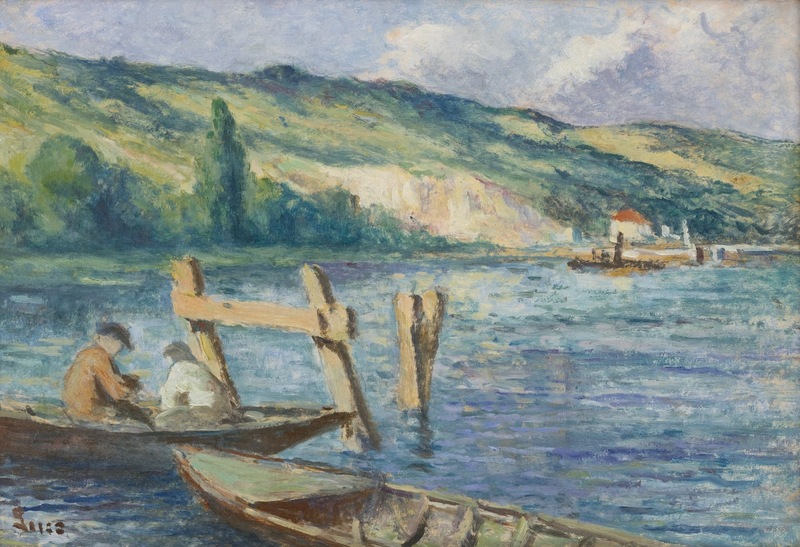 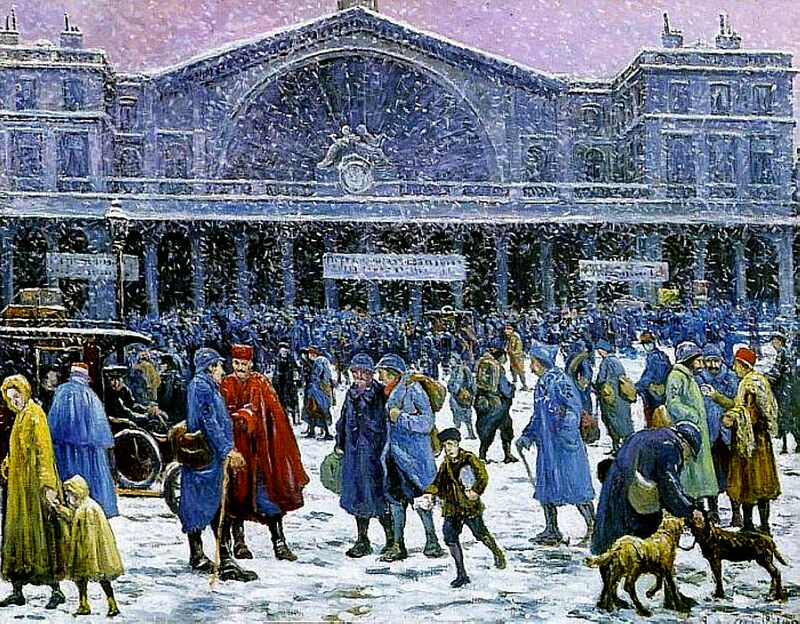 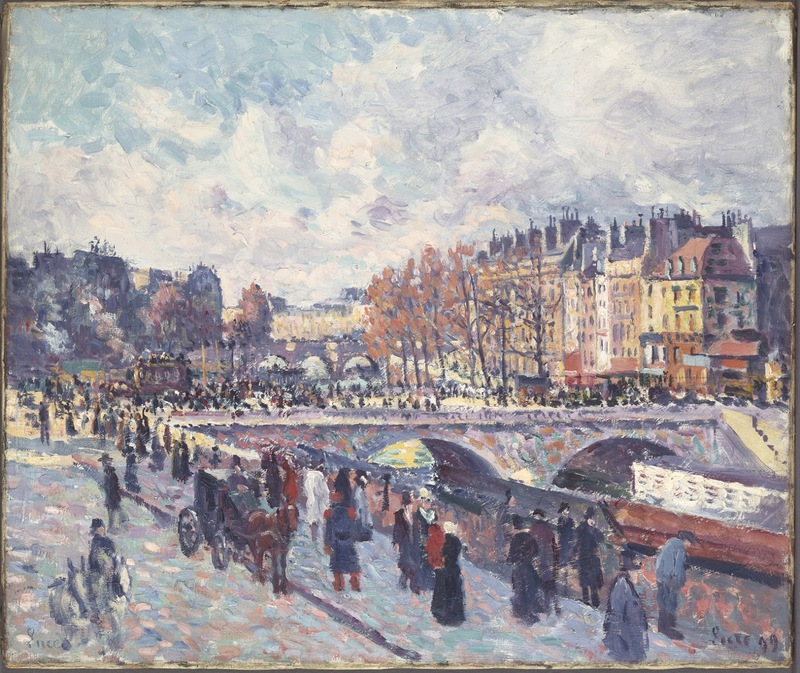 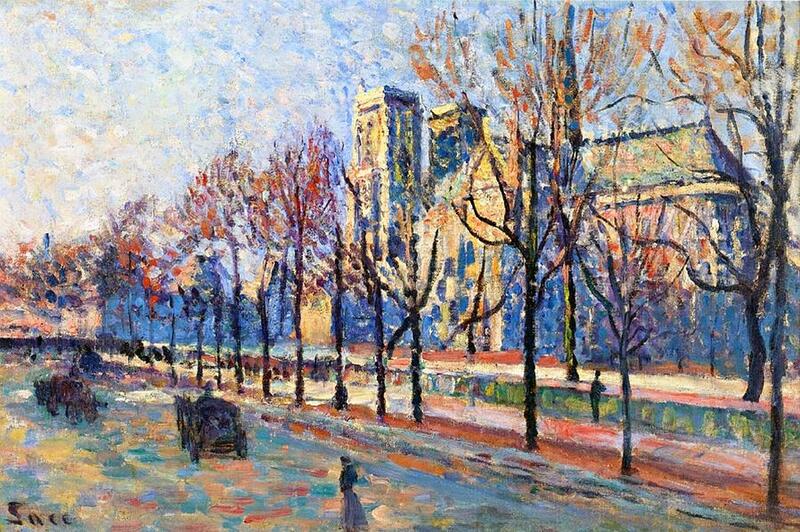 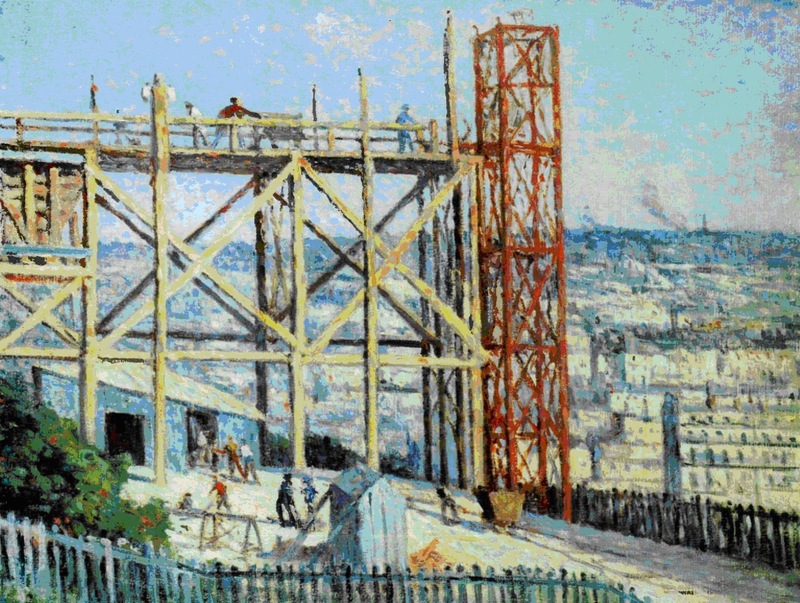 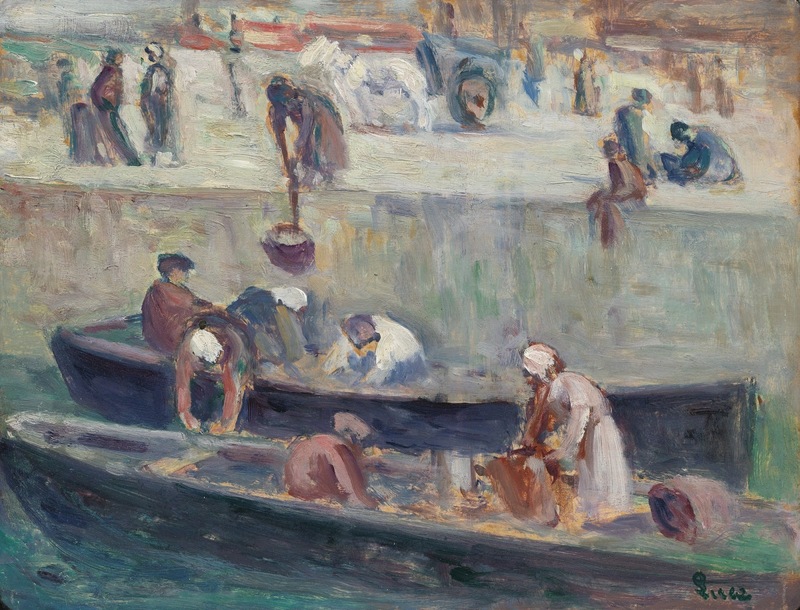 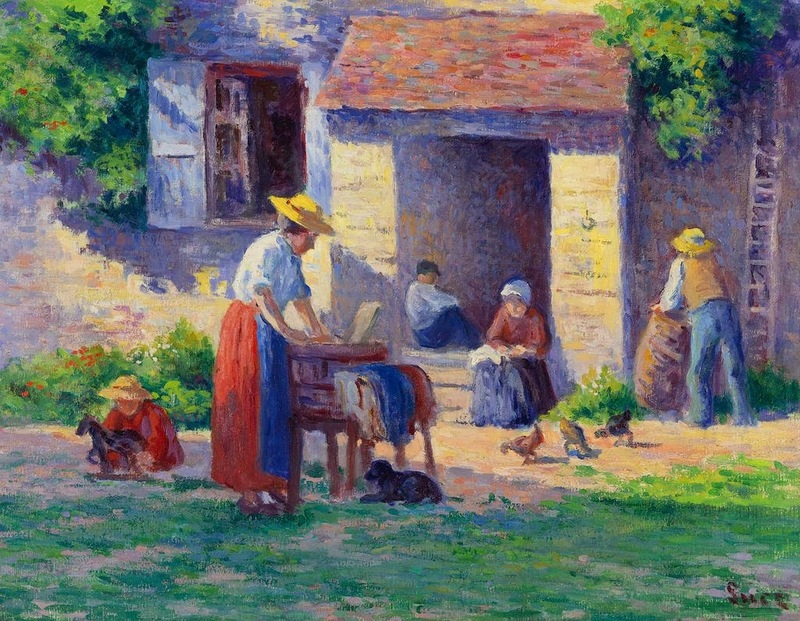 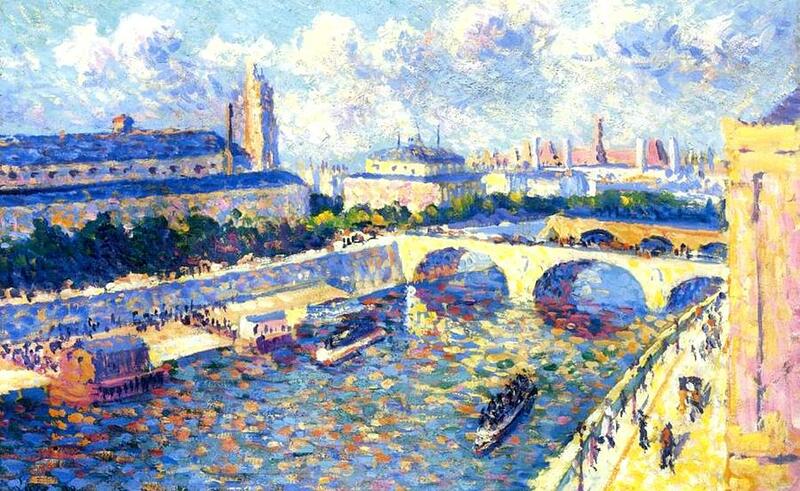 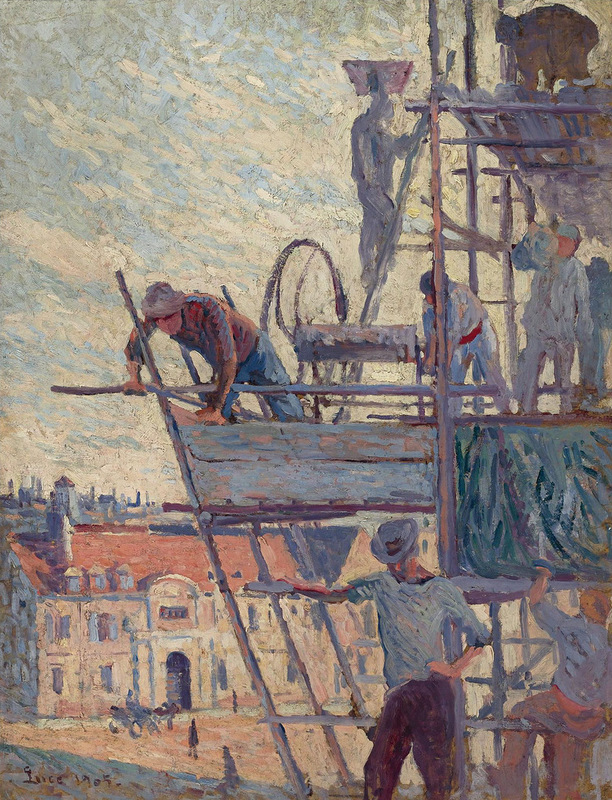 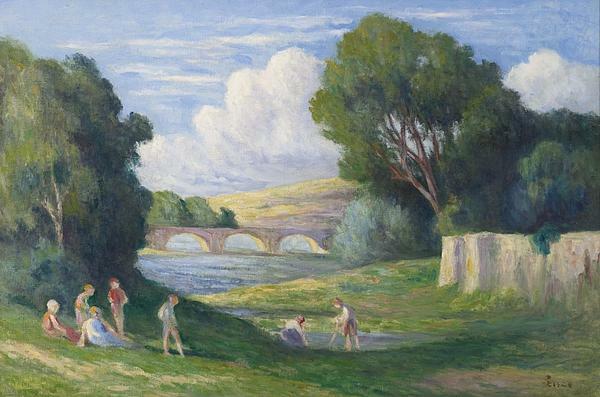 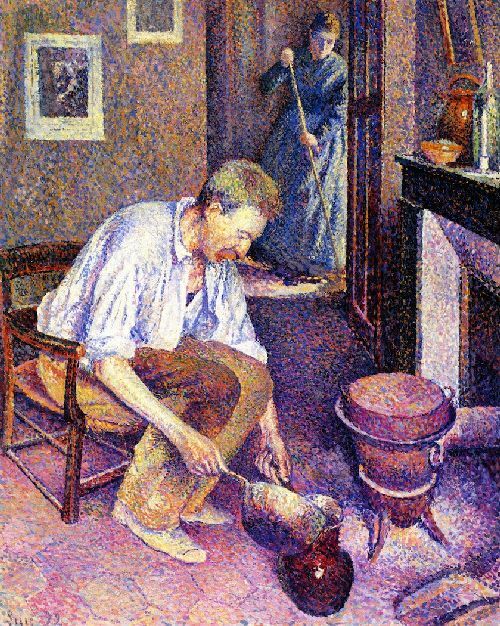 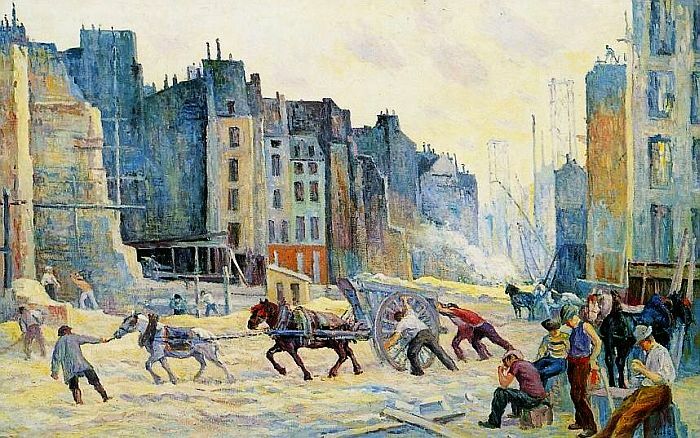 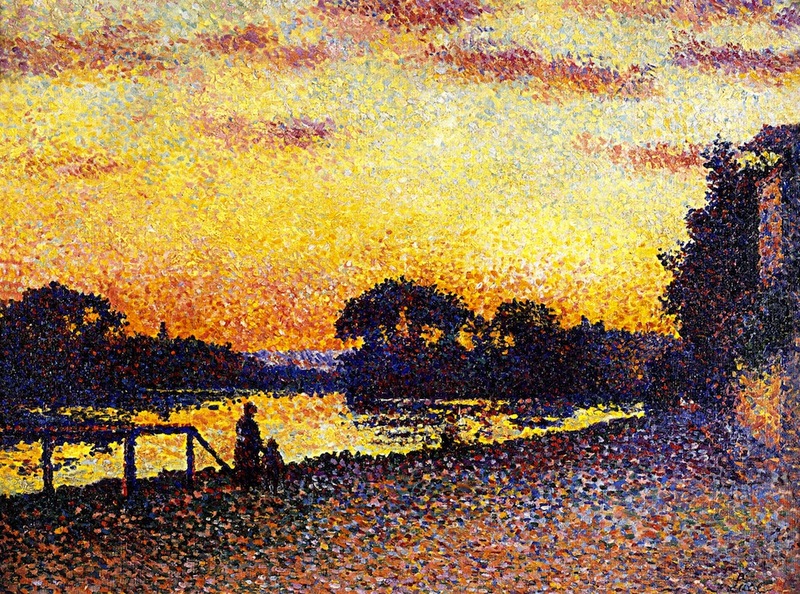 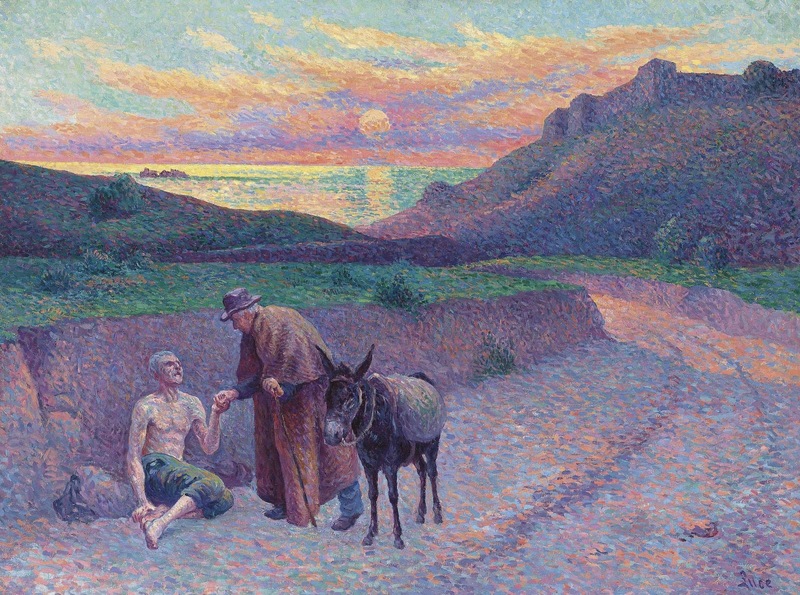 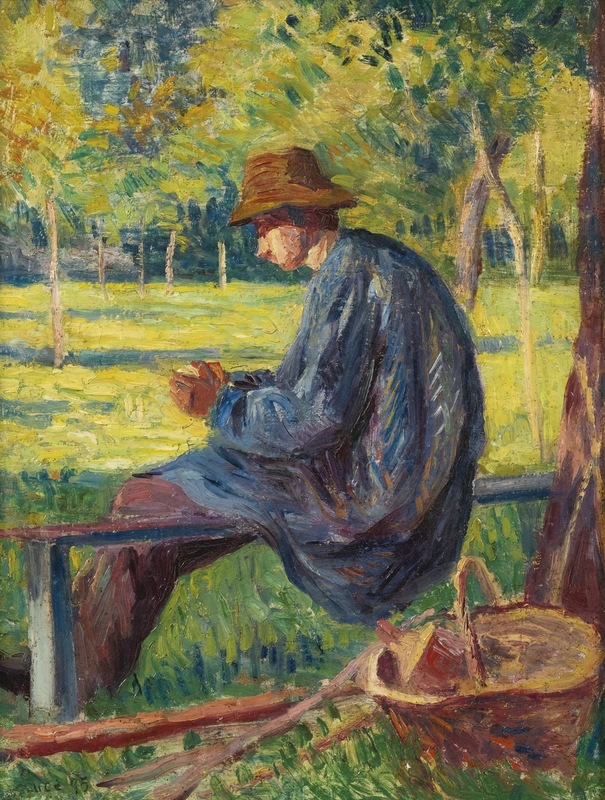 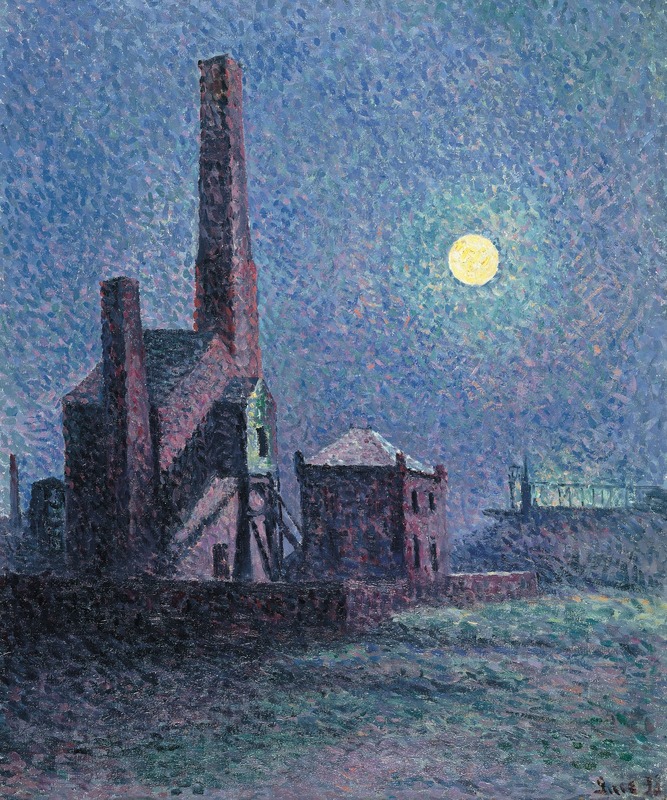 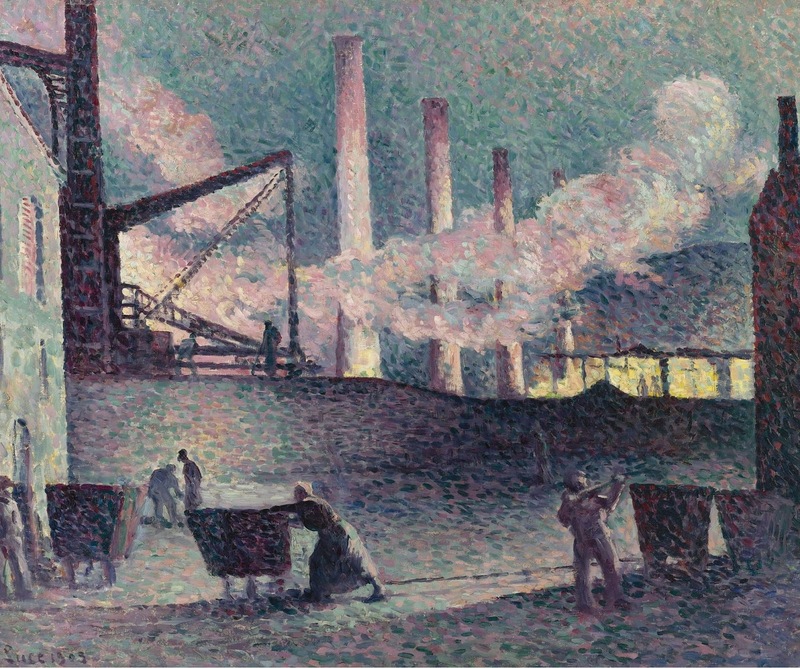 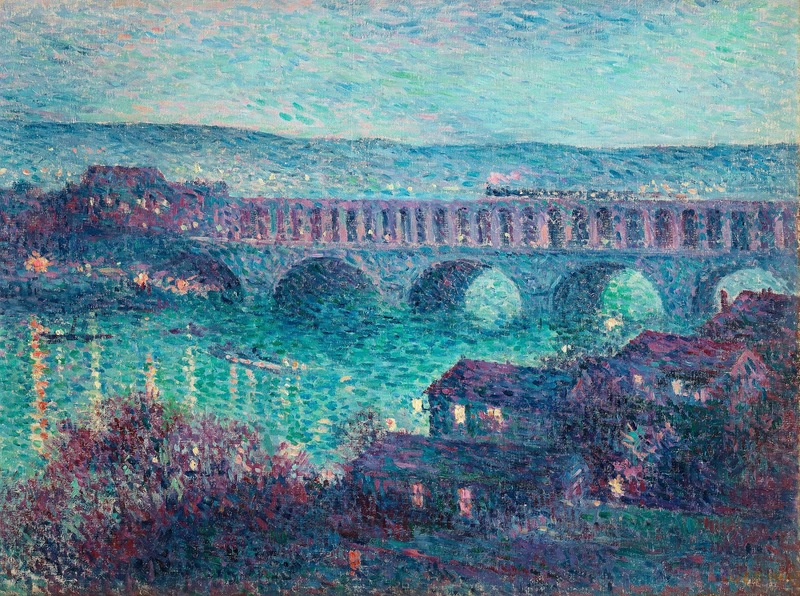 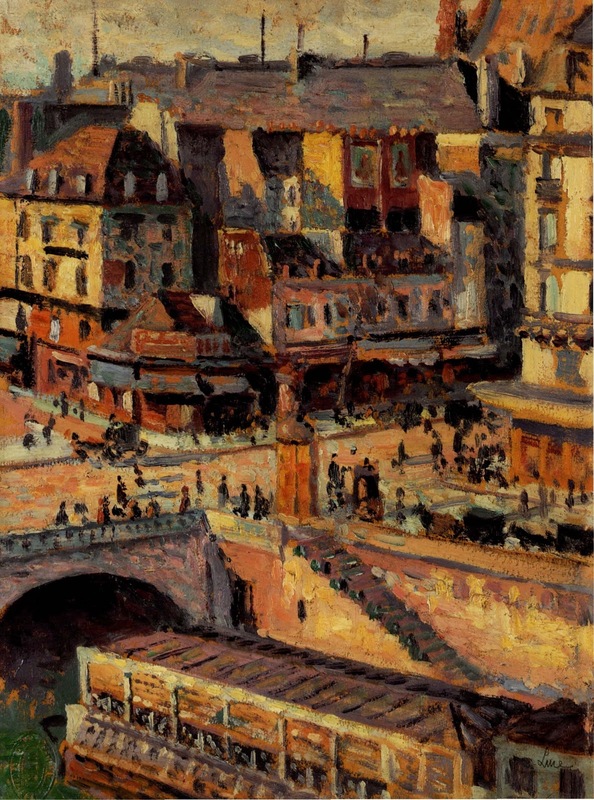 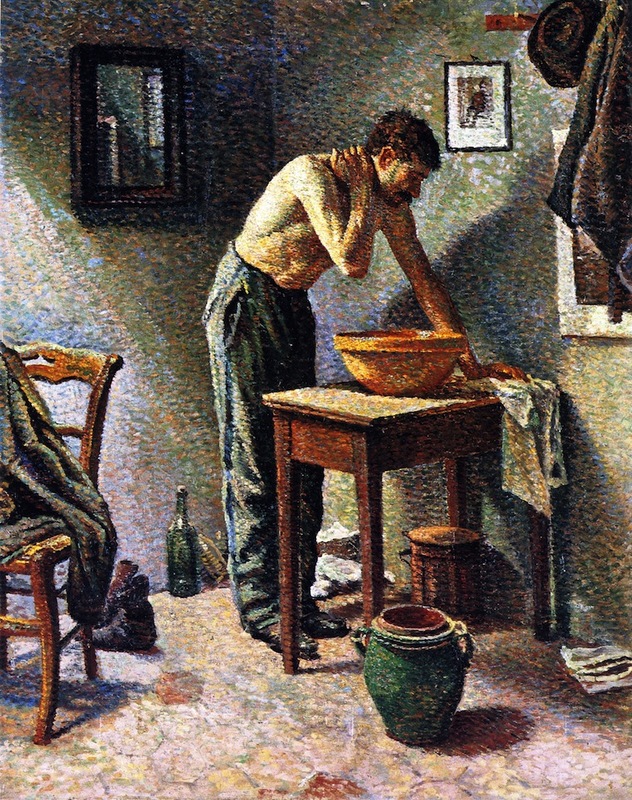 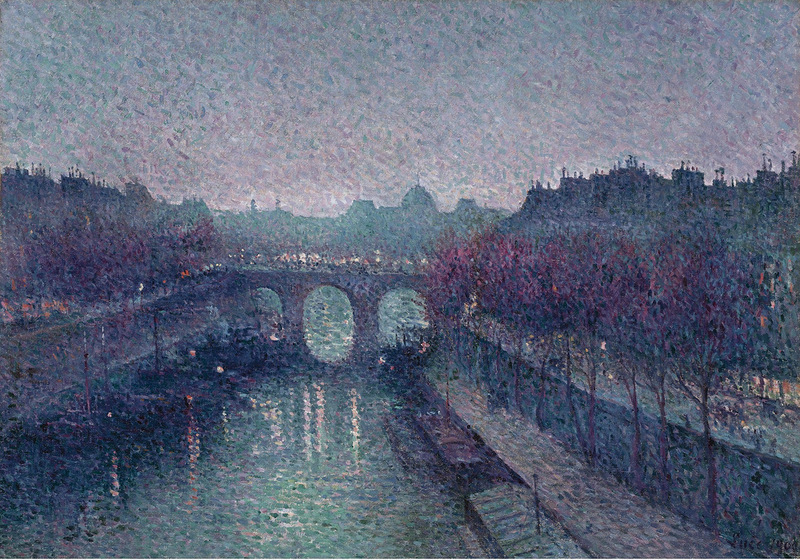 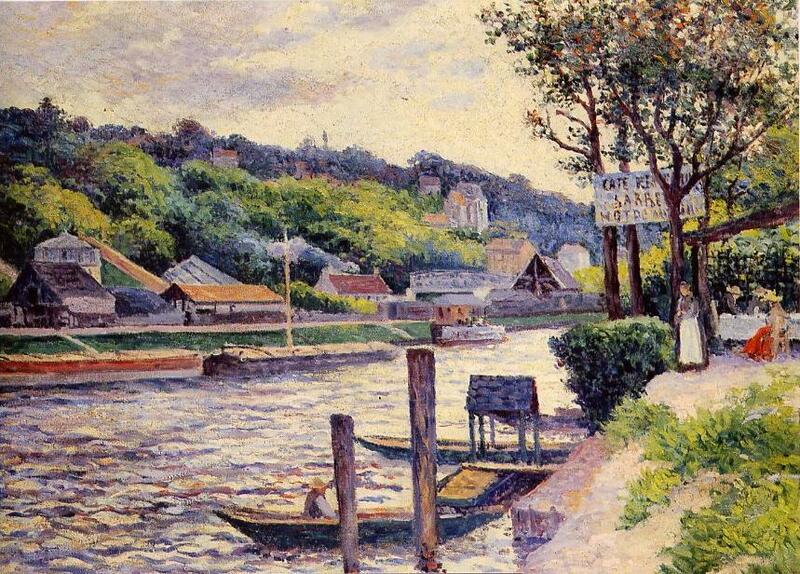 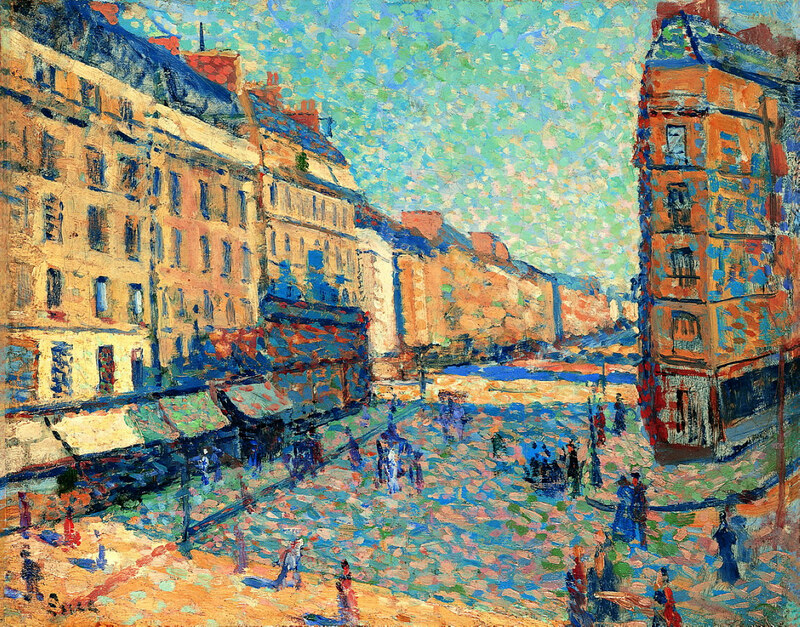 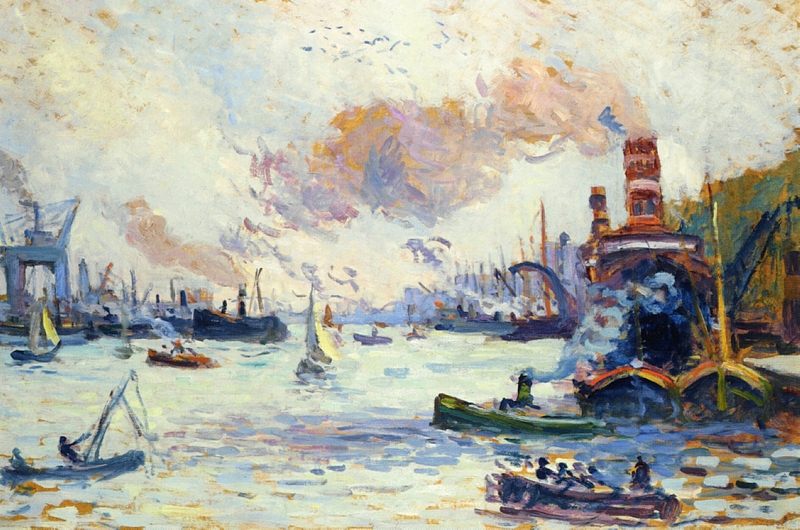 Maximilien Luce nasce a Parigi in una famiglia di artigiani. 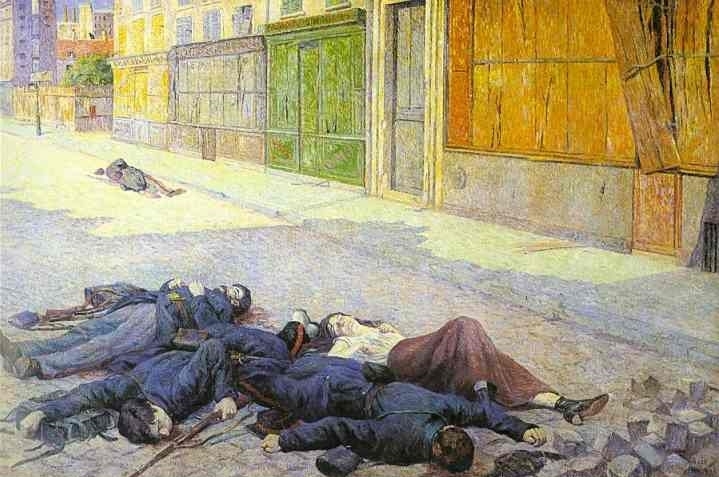 Attorno al 1880, l'artista, che aveva esordito come incisore, intraprende una carriera pittorica. 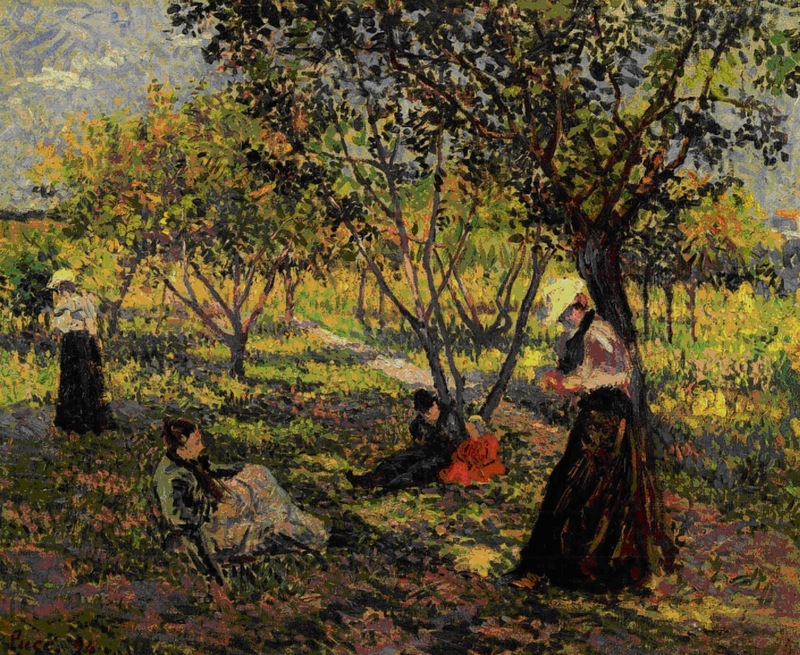 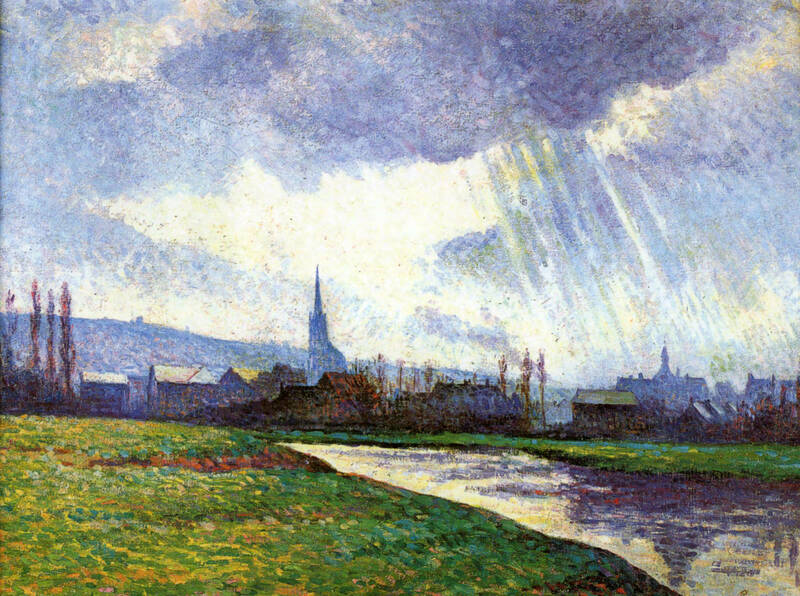 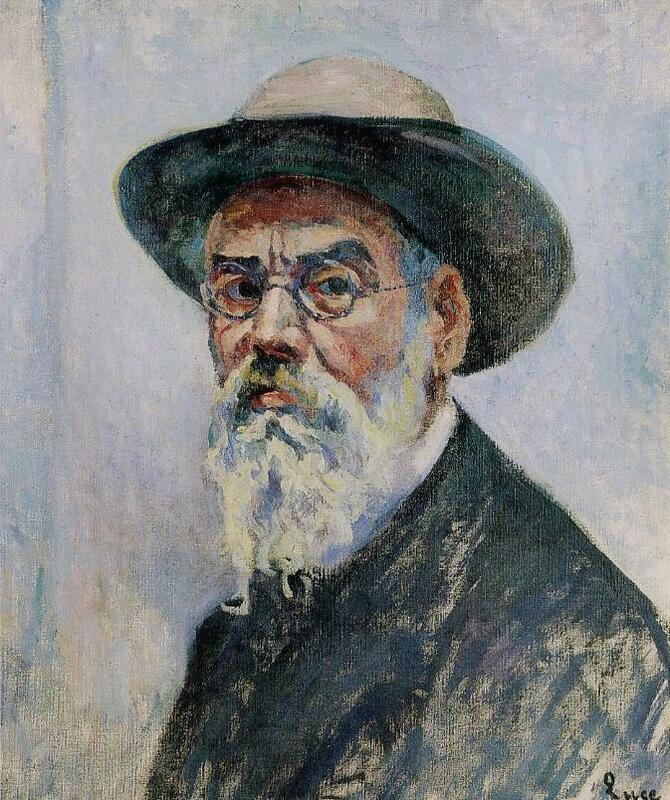 Nel 1887, Camille Pissarro che condivide le medesime idee anarchiche, lo introduce nel gruppo dei pittori Neo-impressionisti e Luce finisce coll'aderire alla tecnica della Divisione dei toni. 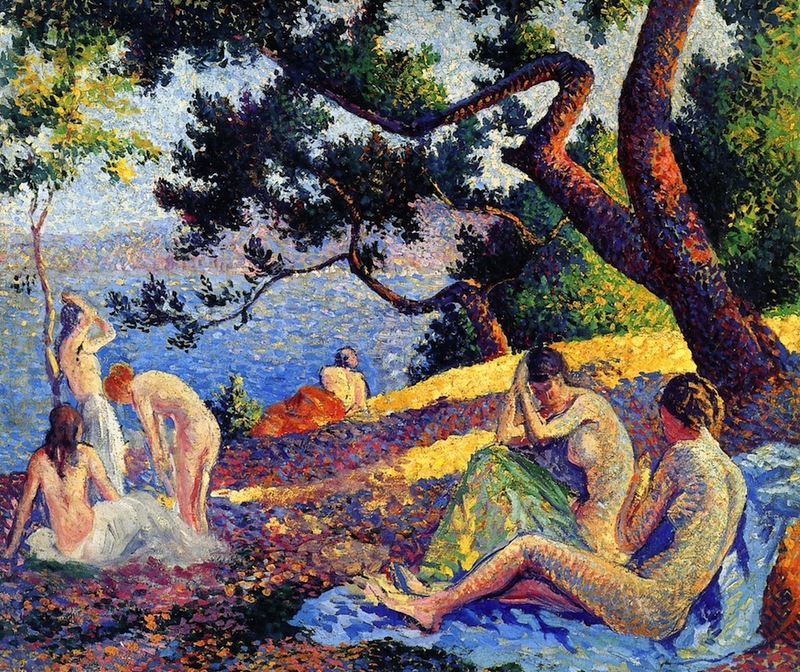 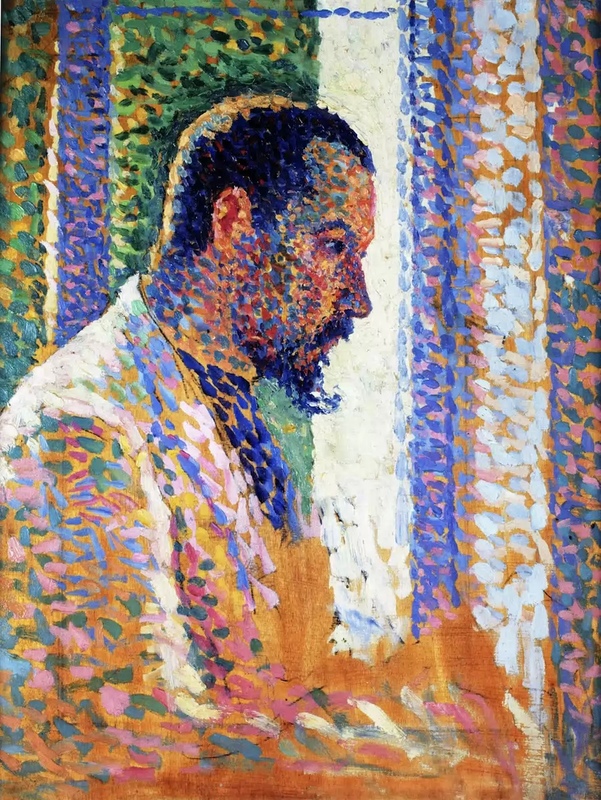 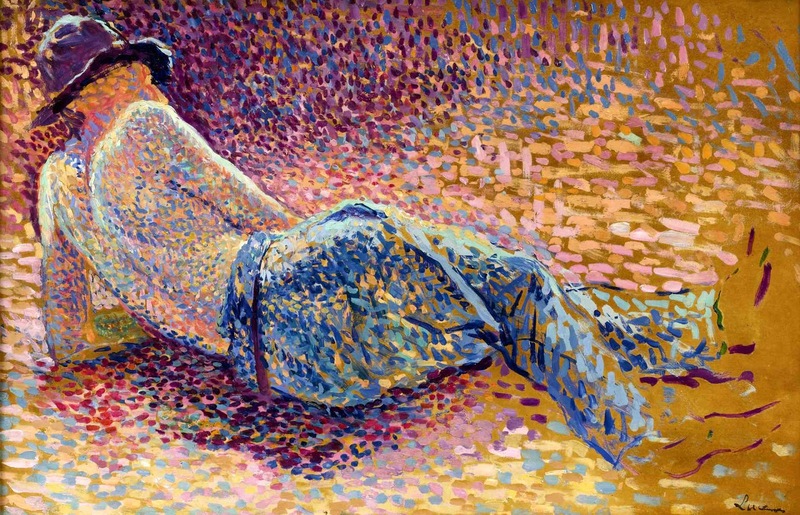 Tuttavia, lungi dall'adottare lo stesso sguardo distaccato di Georges Seurat, Luce descrive con passione l'universo contemporaneo. 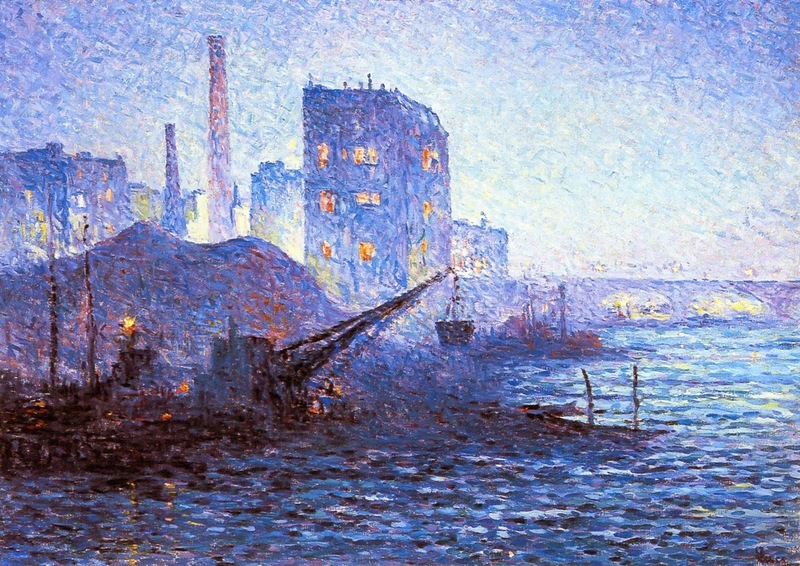 L'artista predilige gli effetti di luce violenti, dal crepuscolo sulle sponde della Senna agli effetti inediti dell'illuminazione urbana. 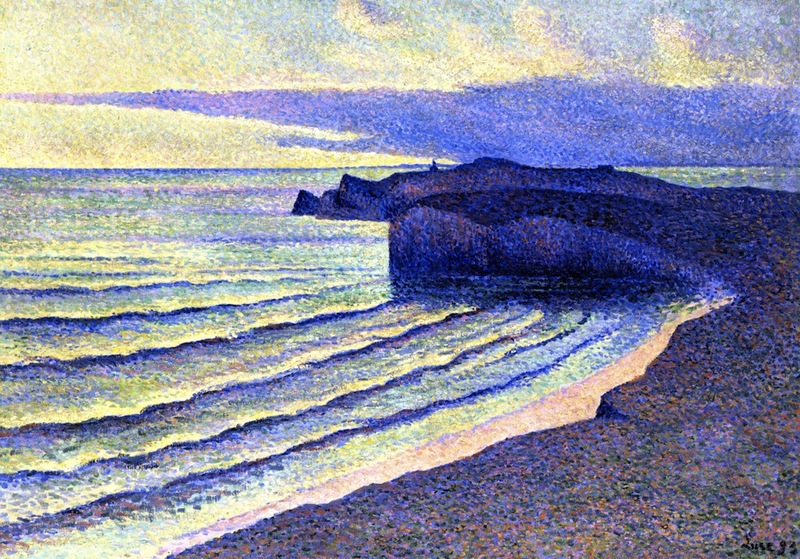 Non meno lirici, tuttavia, sono i quadri della serie Il paese nero in cui le fiamme degli altiforni illuminano la notte.